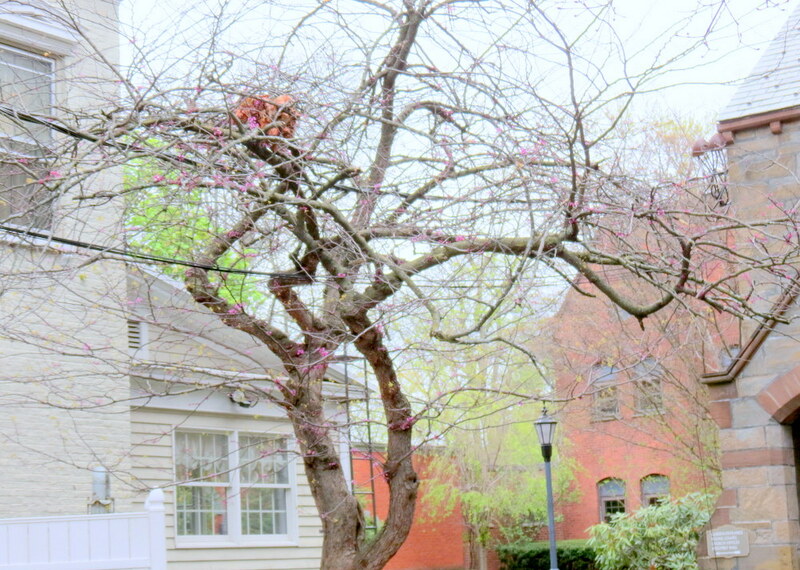 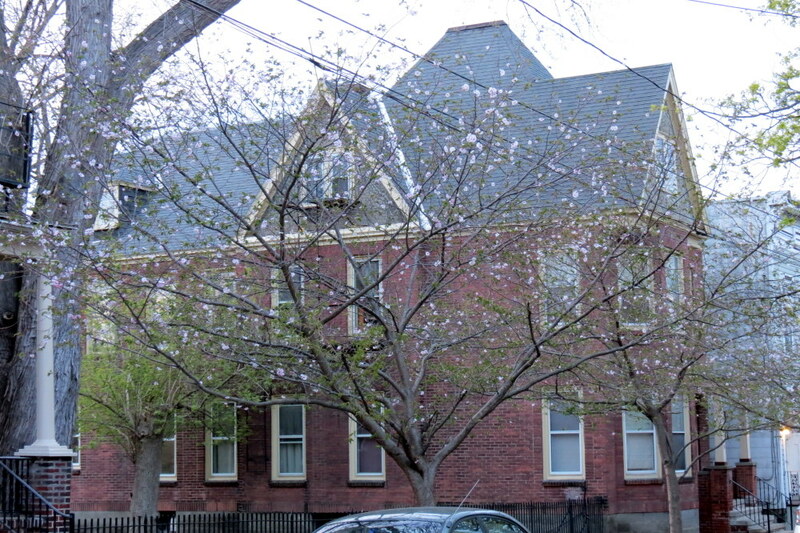 2016’s disappointing cherry blossom peak at 16 Washington Ave. 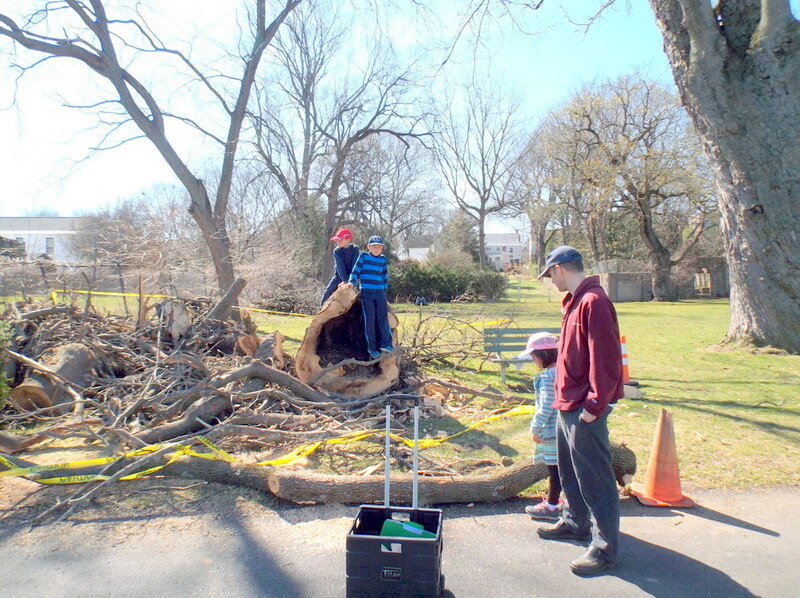 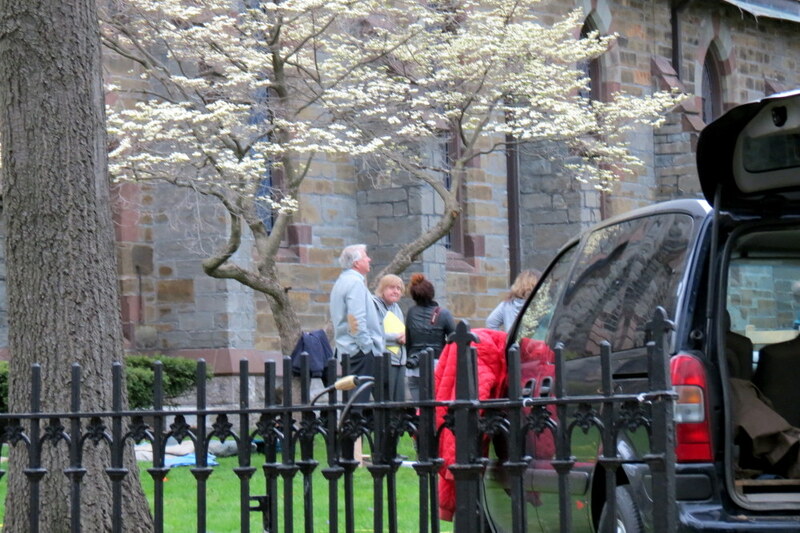 Mothers know something about disappointment, and so do photographers. 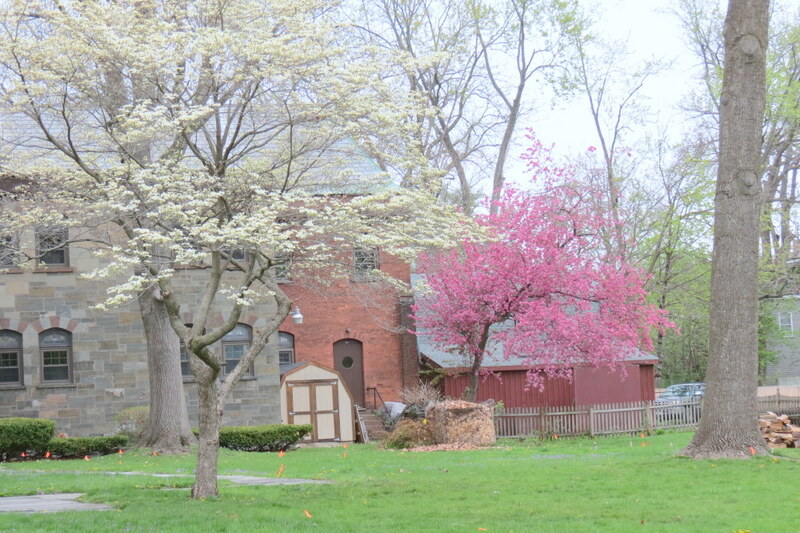 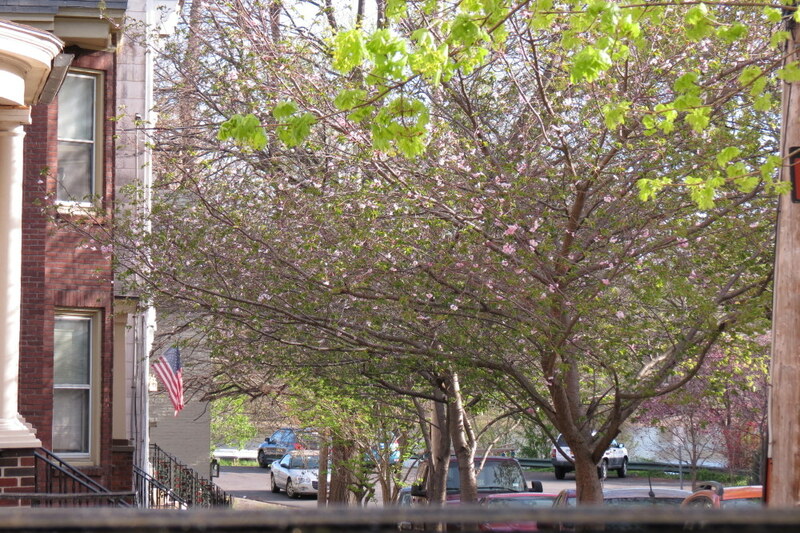 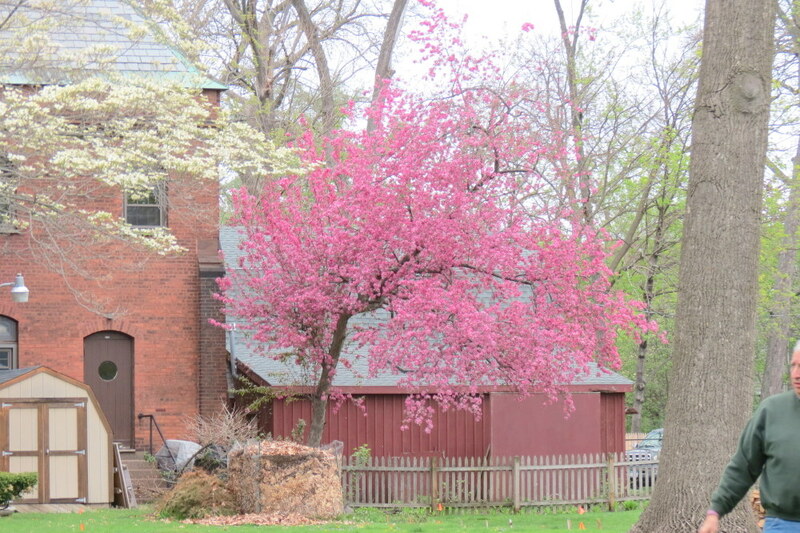 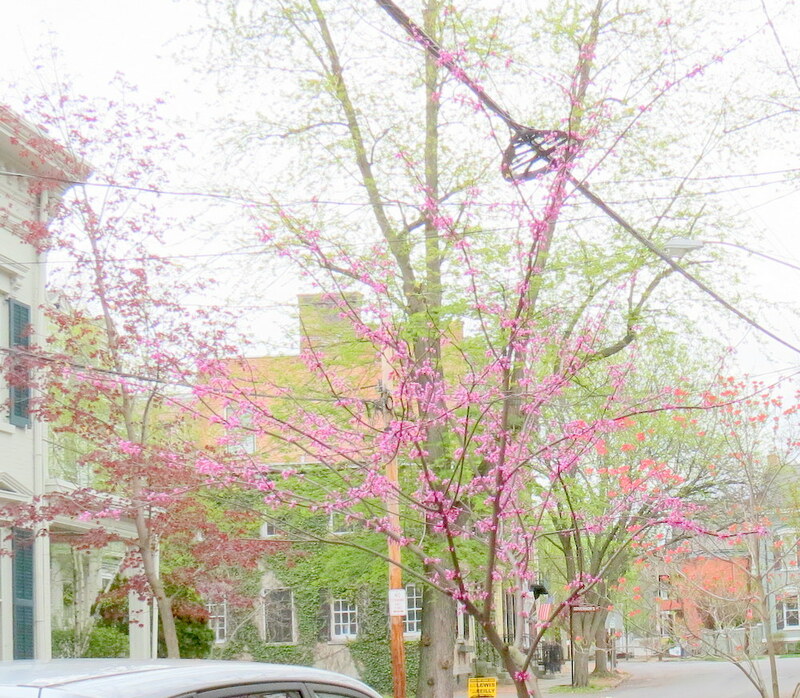 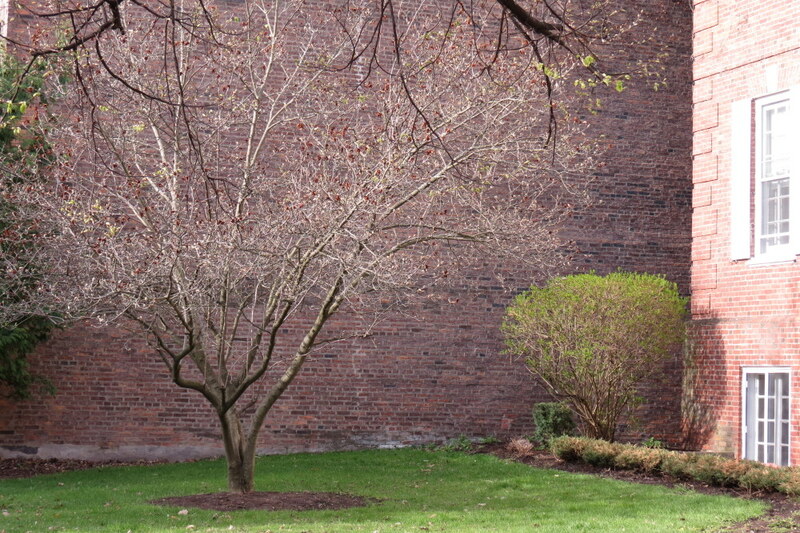 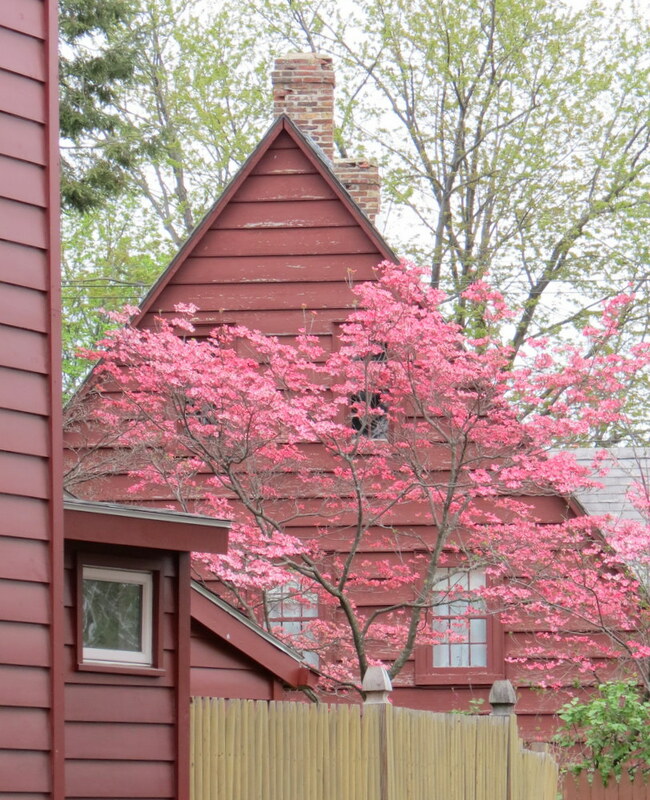 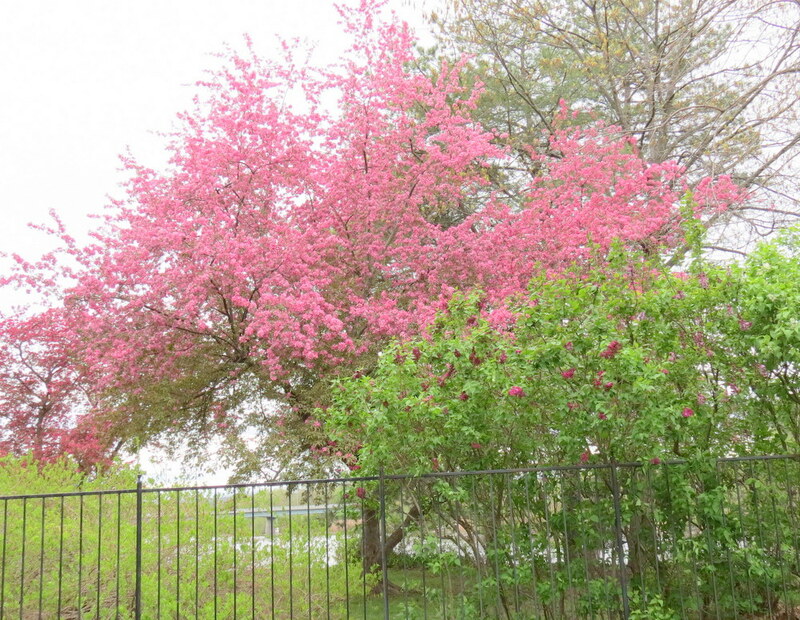 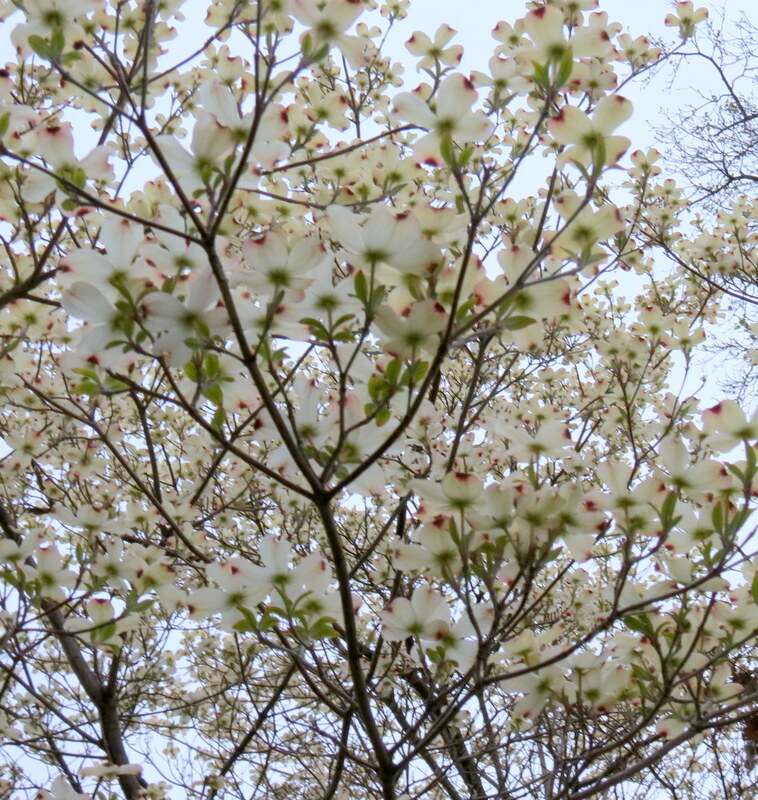 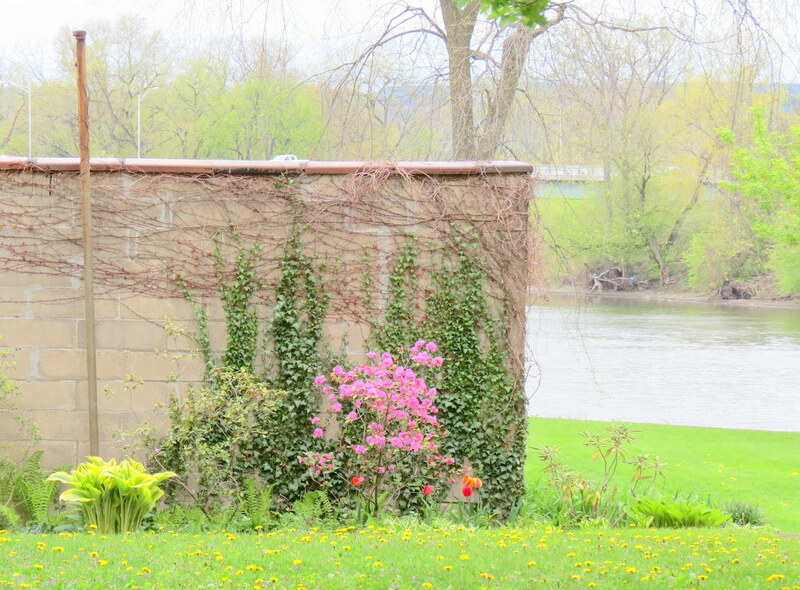 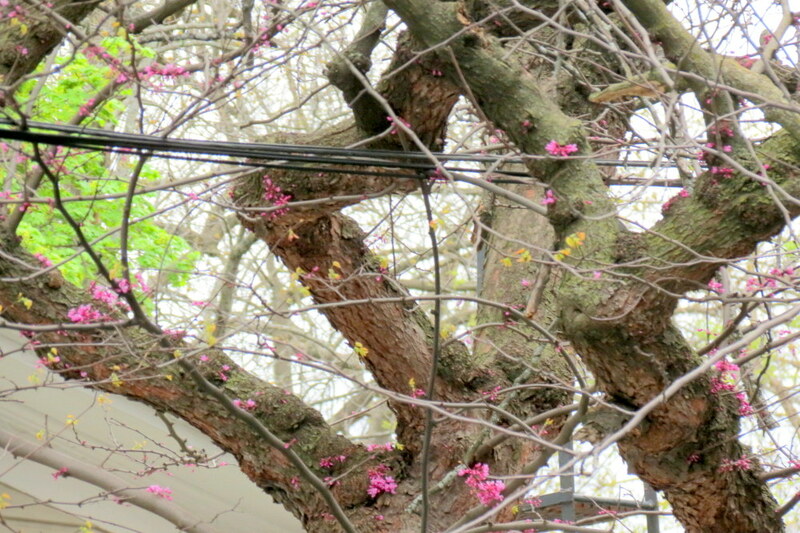 It has been quite disappointing to see so few blossoms the past few weeks in the Stockade. 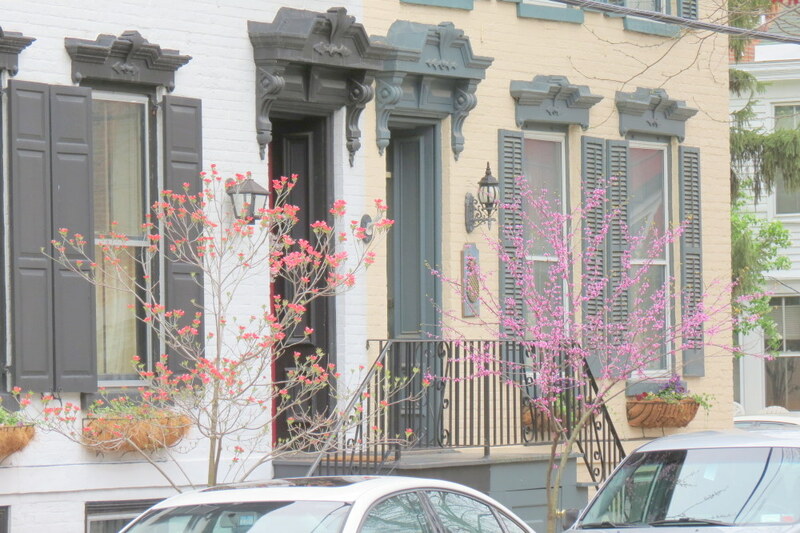 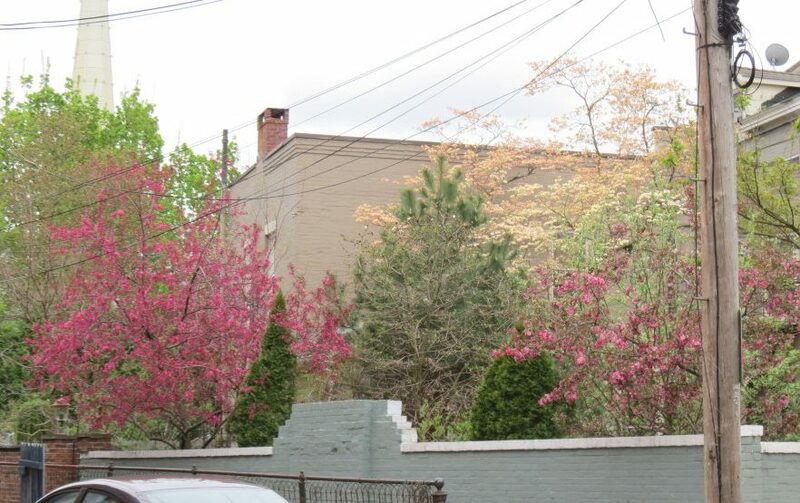 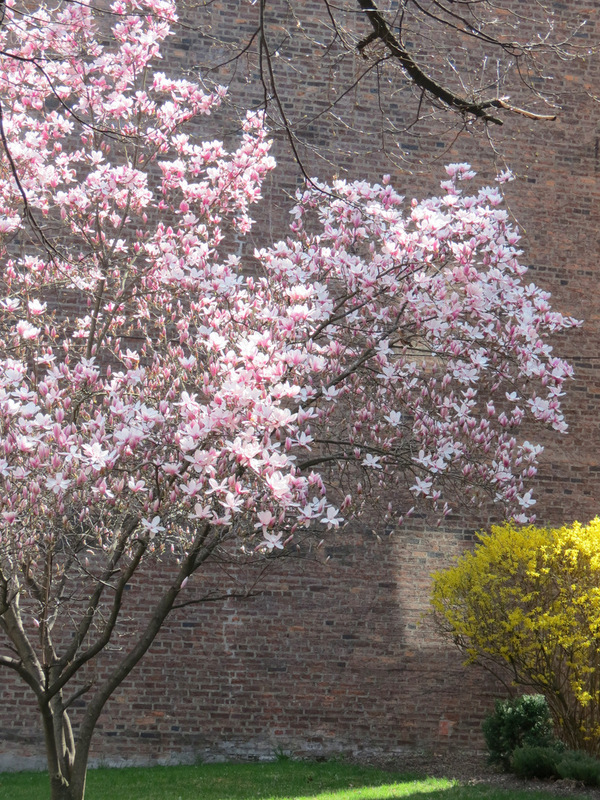 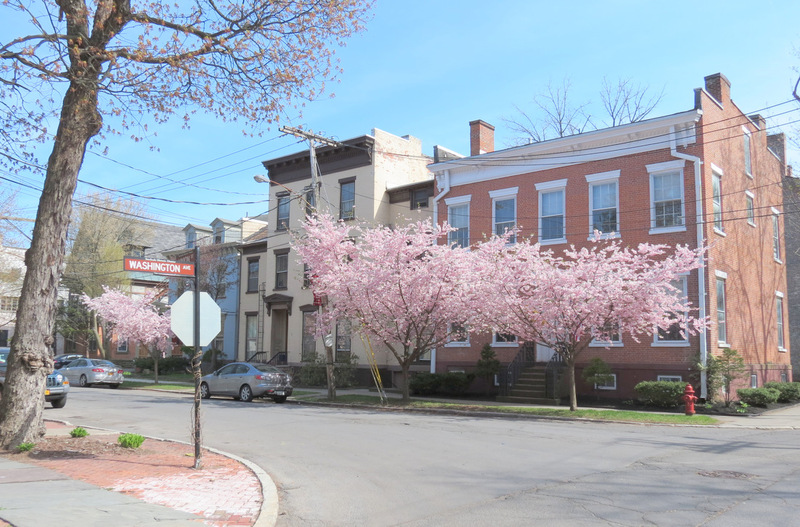 On blocks that have regularly elicited choruses of oohs and aahs from residents and visitors over this past decade, I’ve almost had to squint to see the 2016 cherry blossoms, and the magnolia and forsythia blossoms, too. 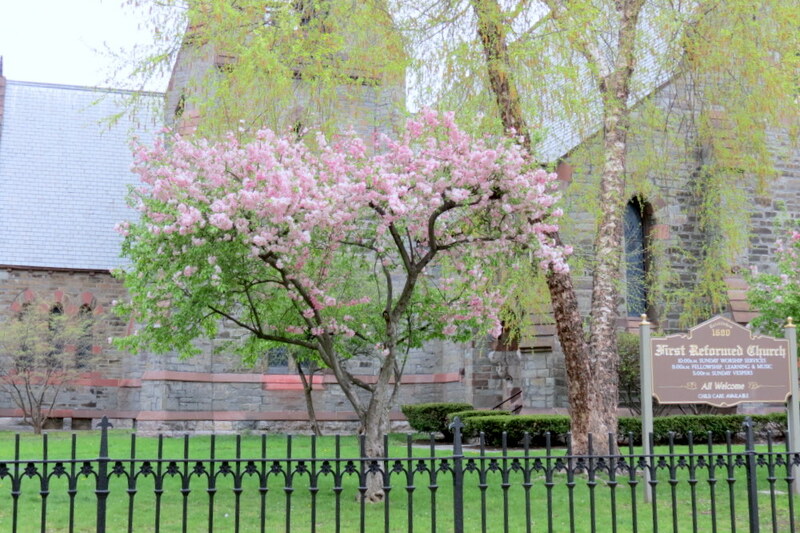 With last year’s falloff in blossoms, and now this year’s Blossom Famine, I will definitely no longer take the Stockade Spring Fashion Show for granted. 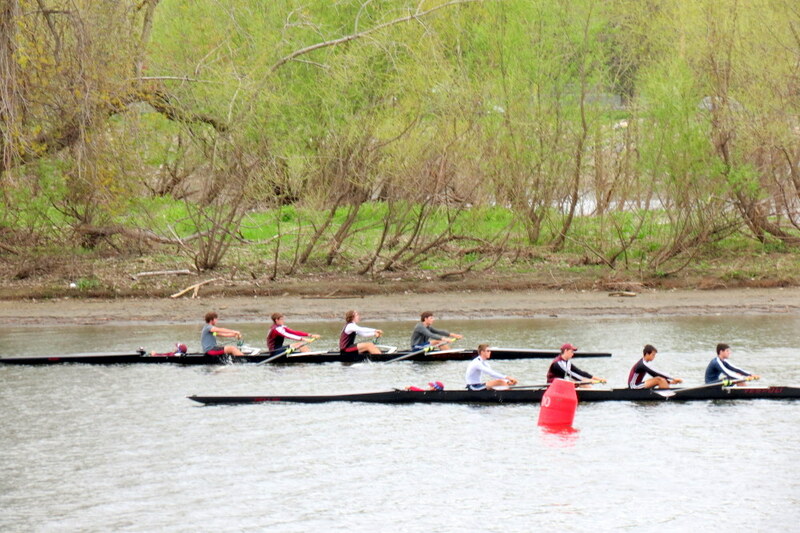 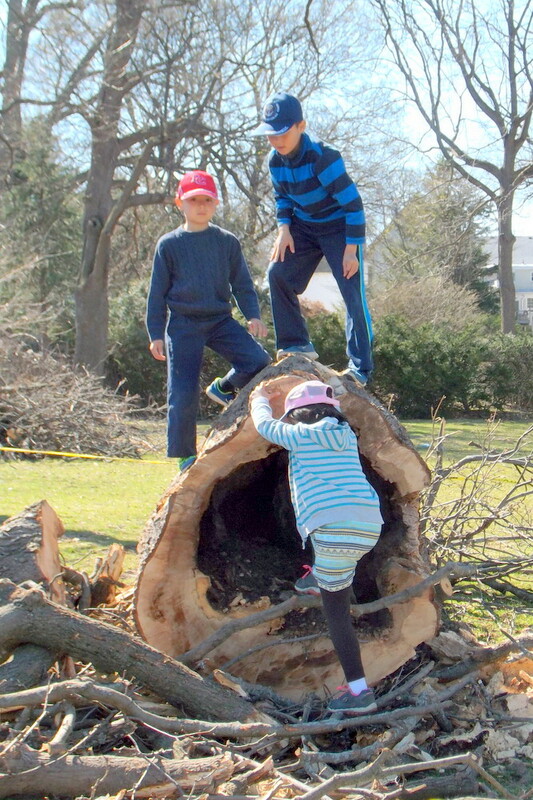 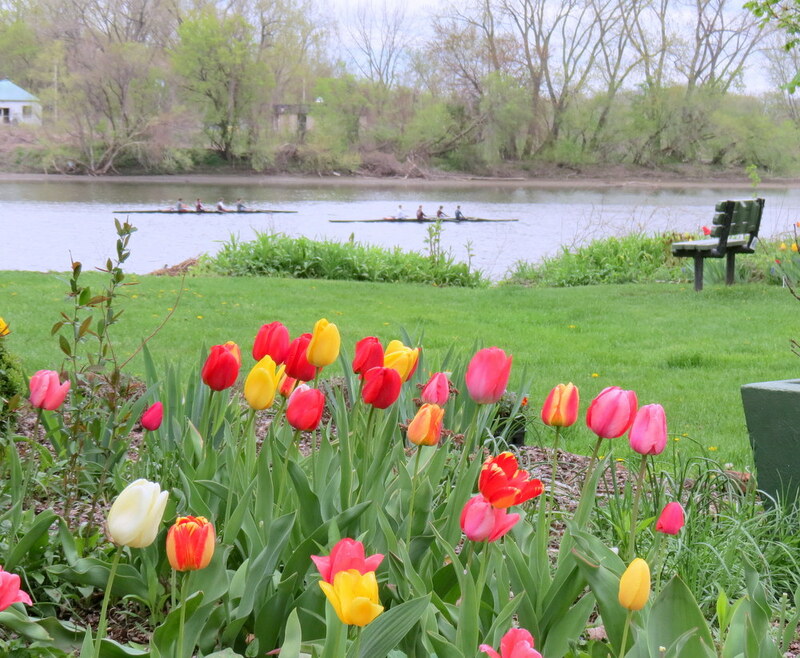 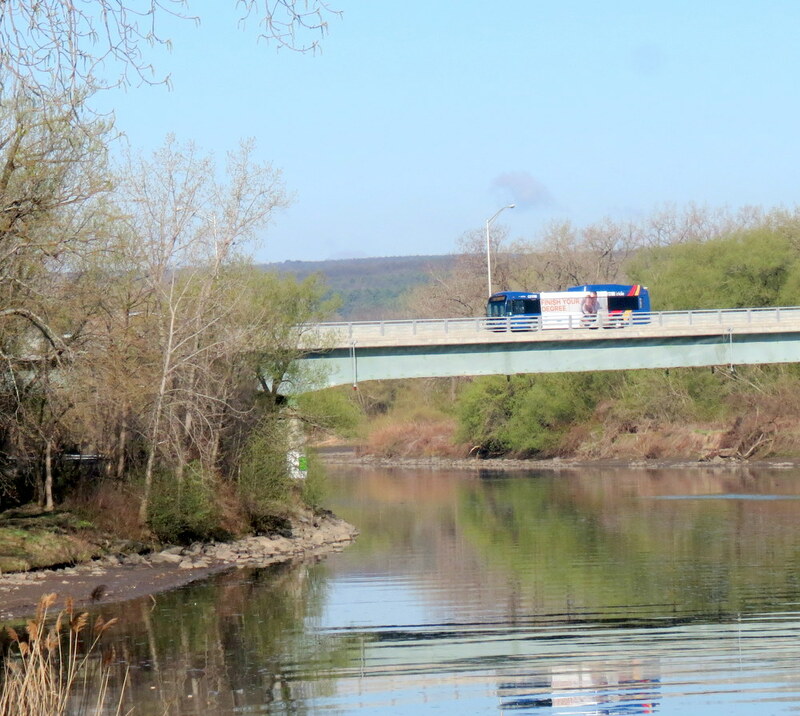 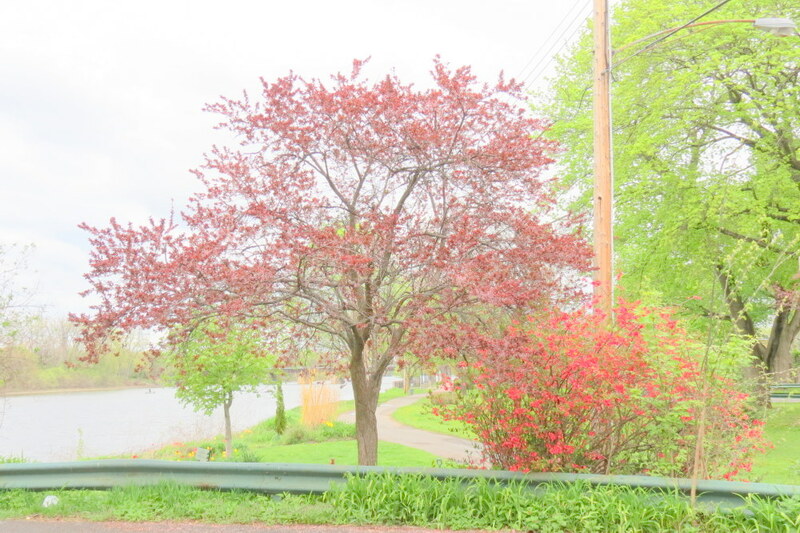 If stretches of abnormally warm and abnormally cold weather become typical as our winters end and Spring arrives, Blossom Watch will become a craps shoot along the Mohawk. 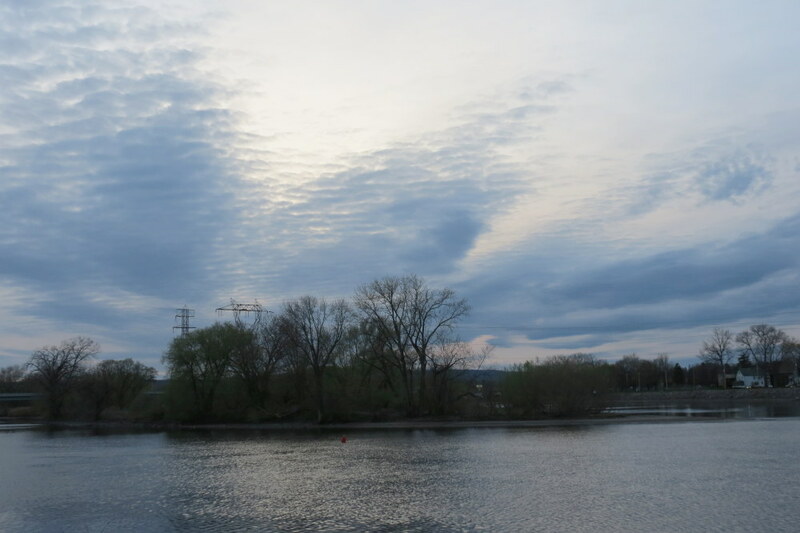 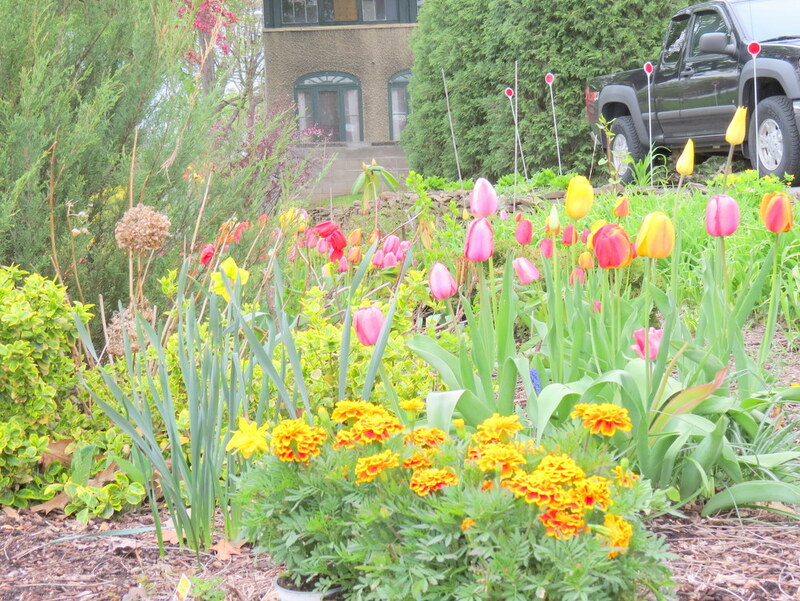 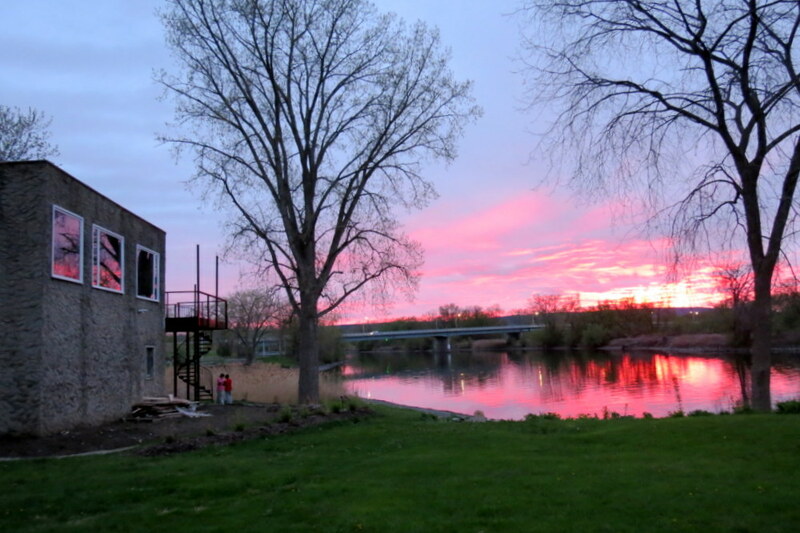 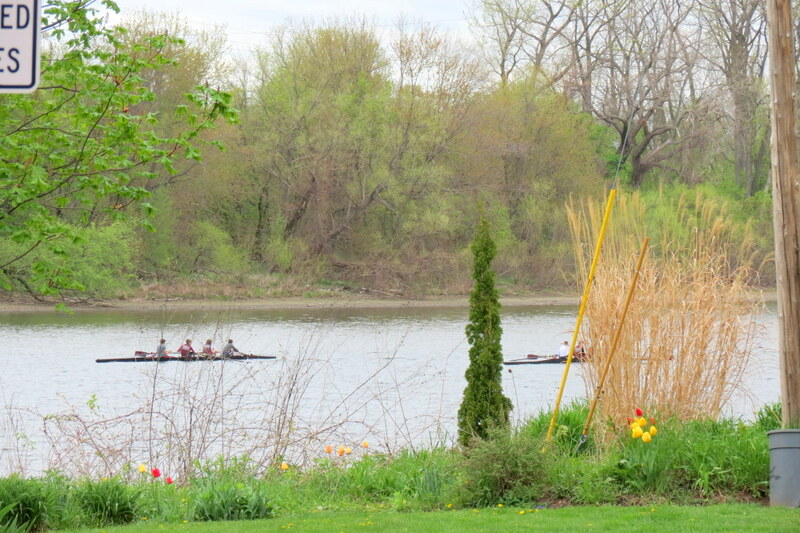 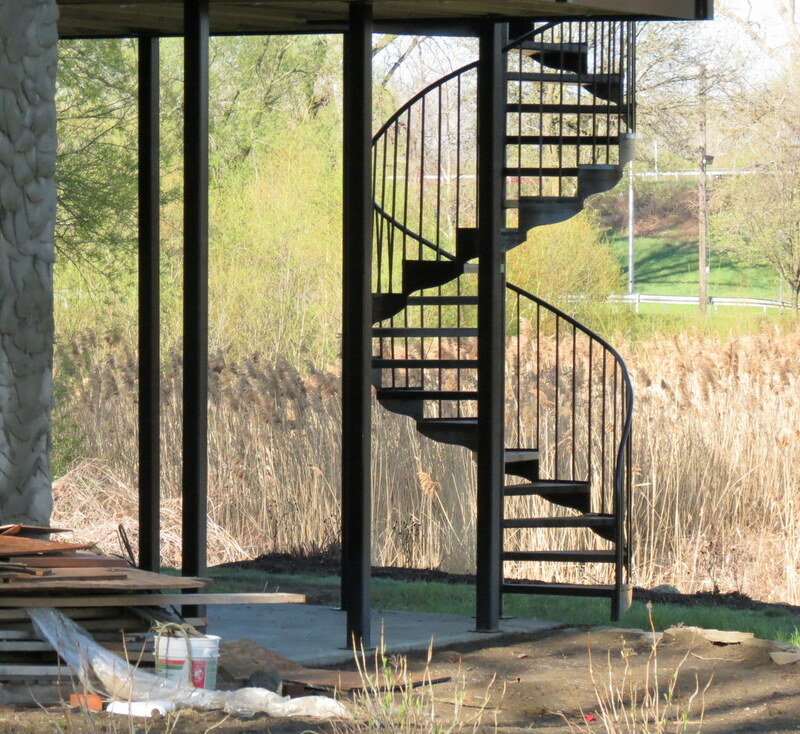 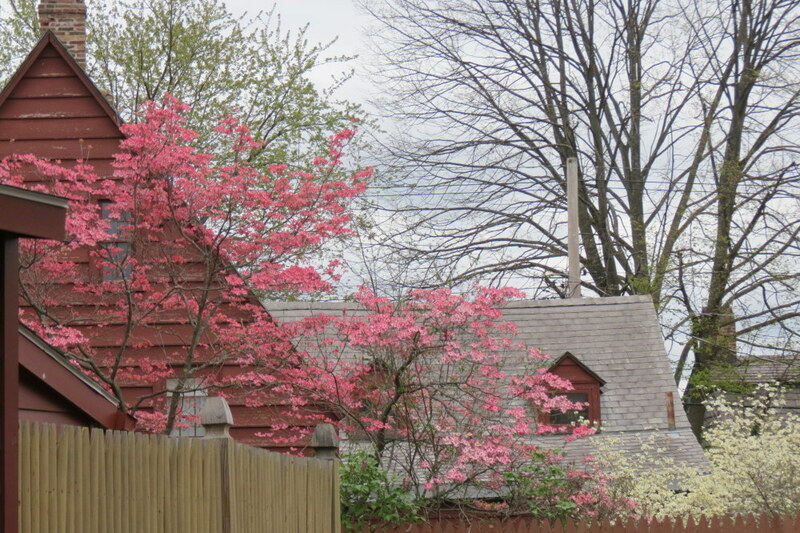 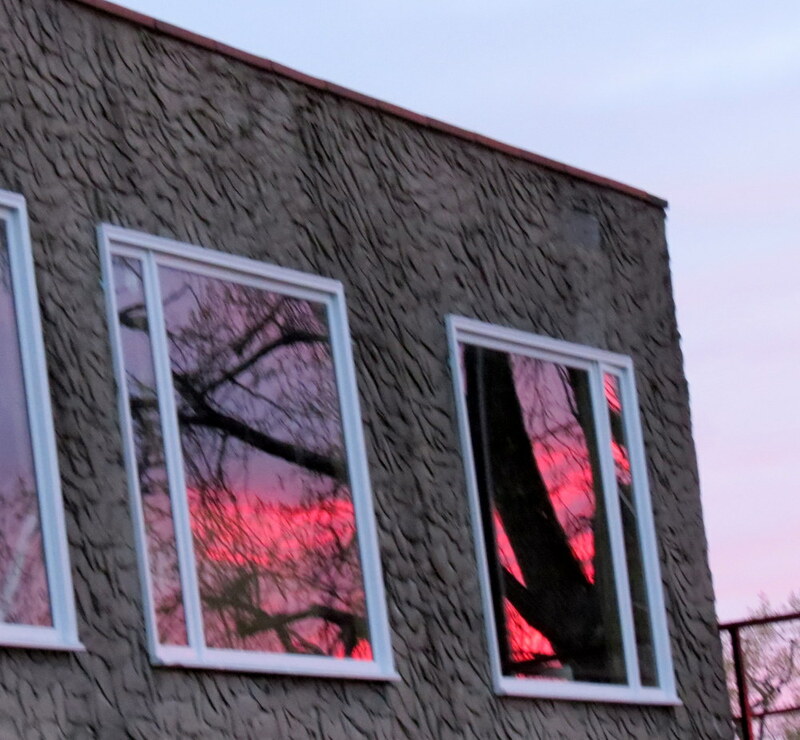 Nevertheless, even if less showy and rather subtle, beauty was everywhere the past month along the streets of our neighborhood, and along the Mohawk (see the Cinco de Mayo sunset off Cucumber Alley to the left), and this Slideshow is proof. 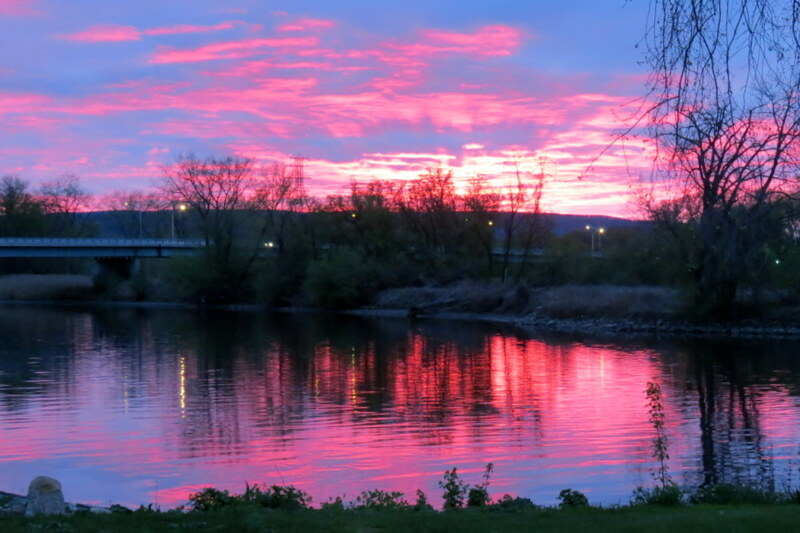 It is dedicated to my Mother (“Mama G”) and mothers everywhere, who deserve pretty pictures every day for all they do and give. 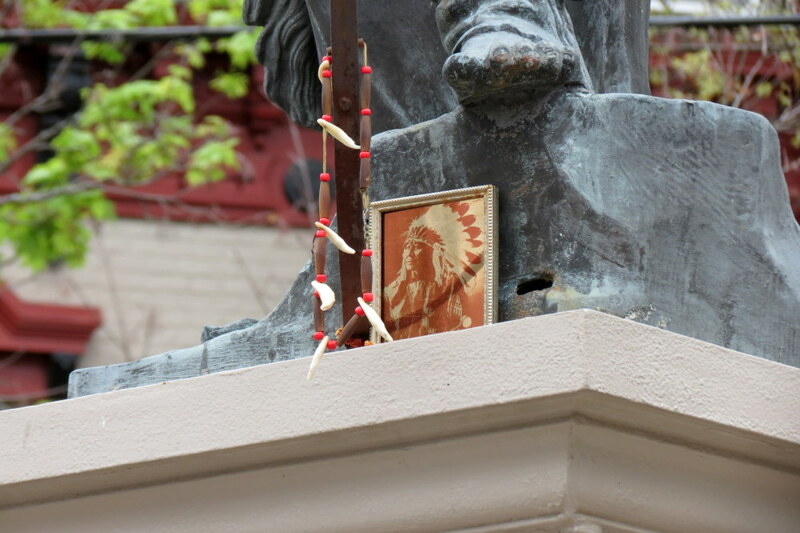 The photos in the Slideshow can also be found in a Gallery at the bottom of this post. 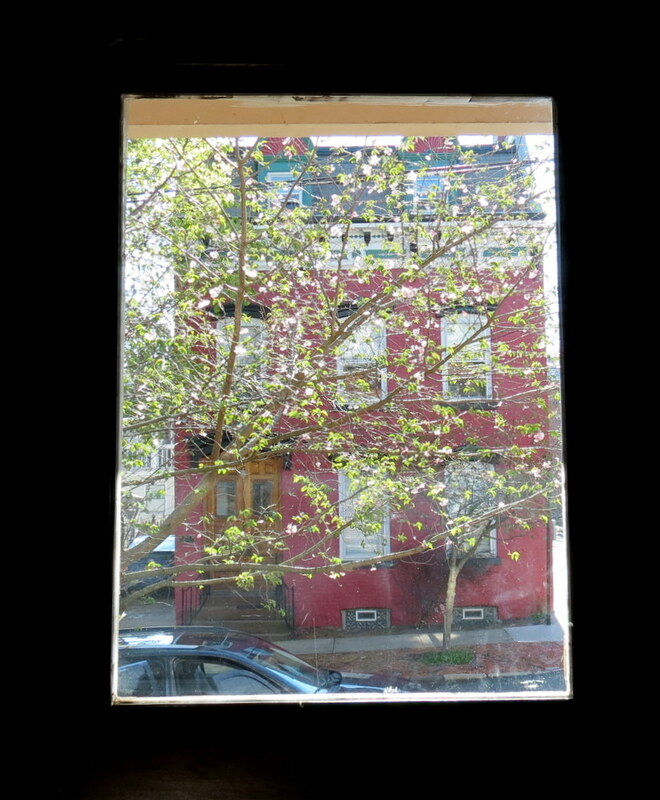 You can click on a Gallery thumbprint image to see a larger version. 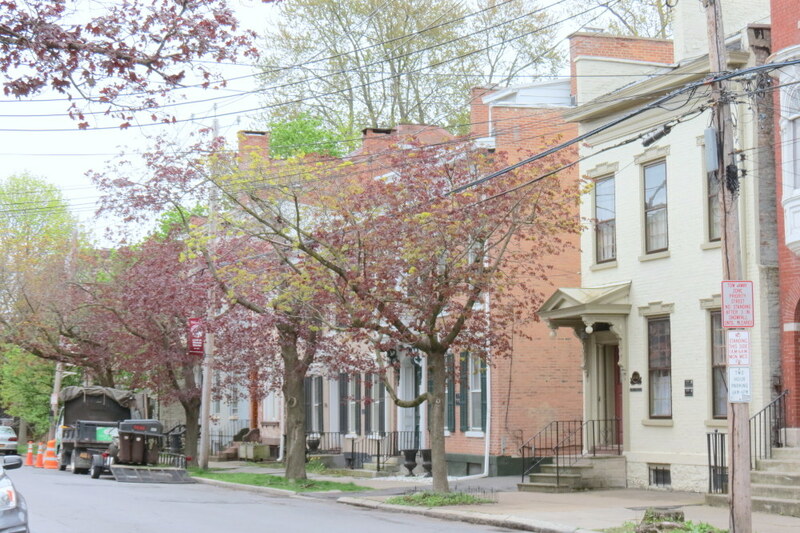 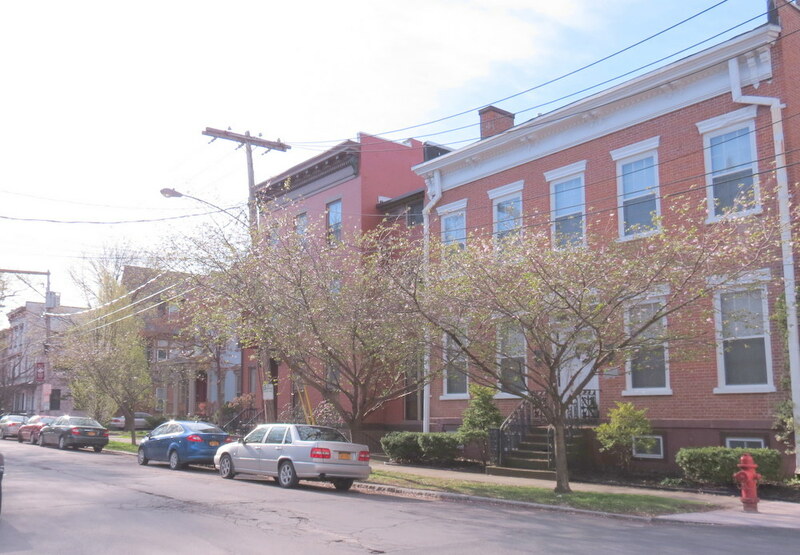 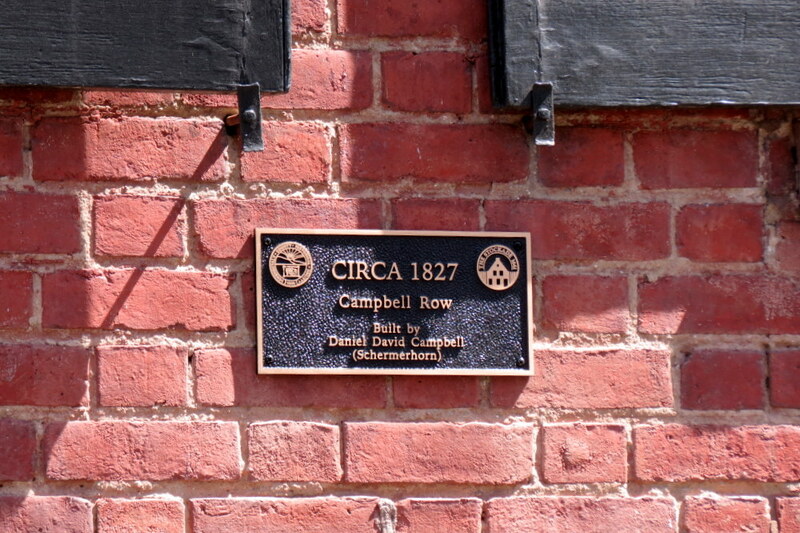 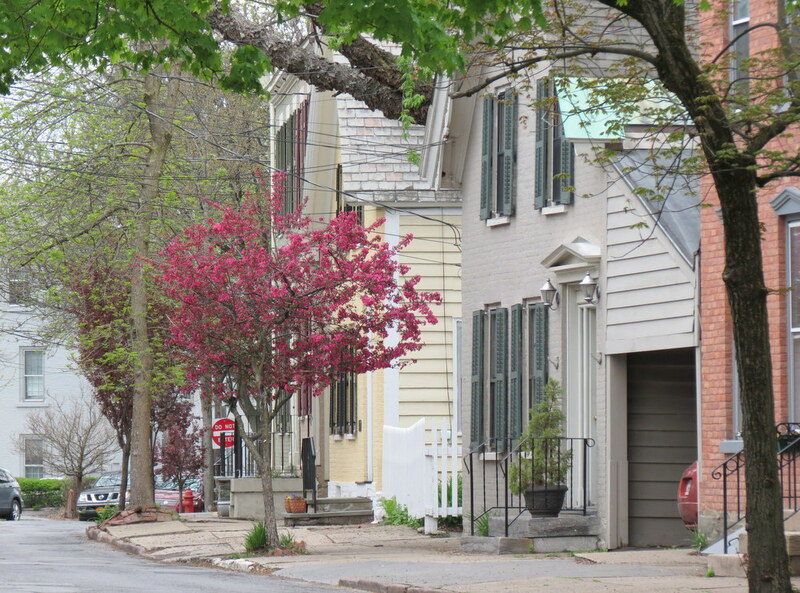 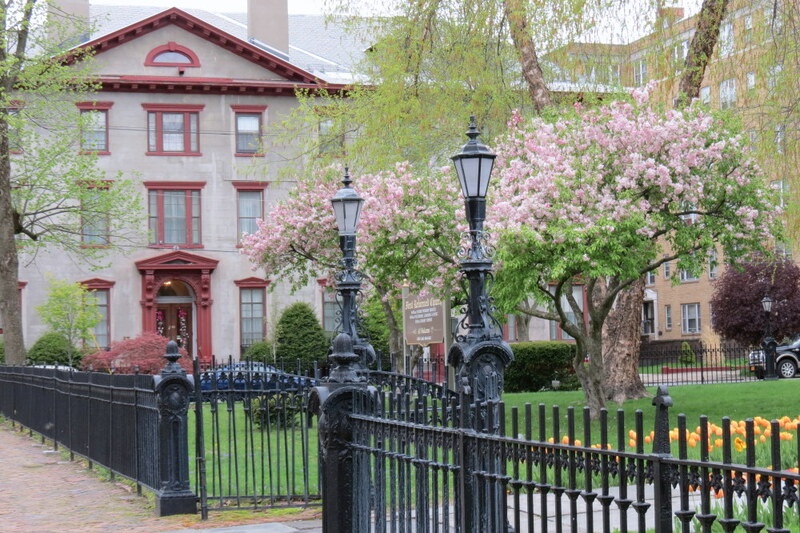 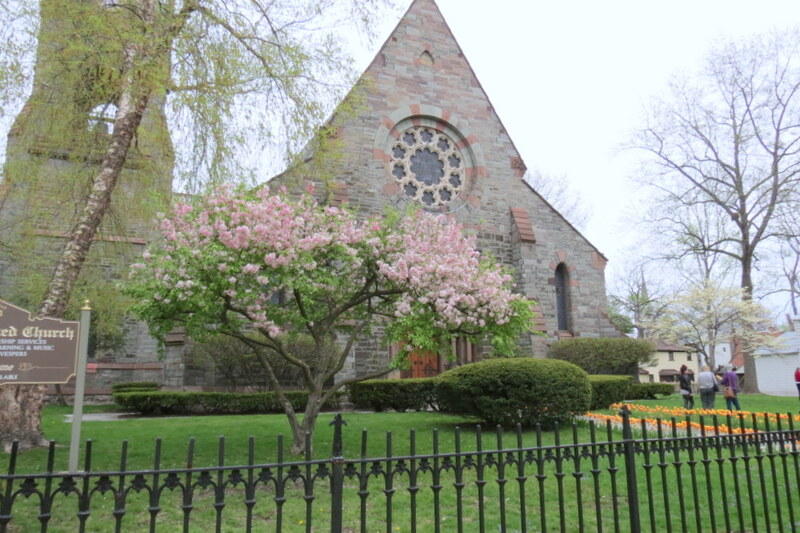 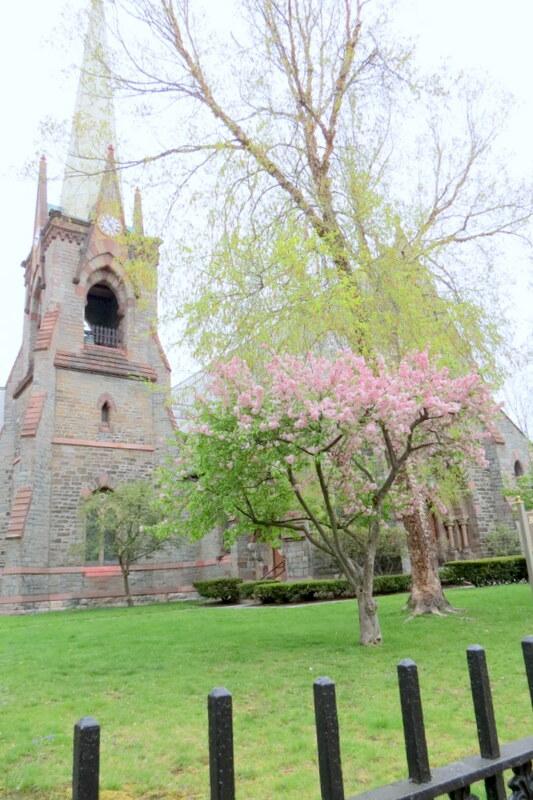 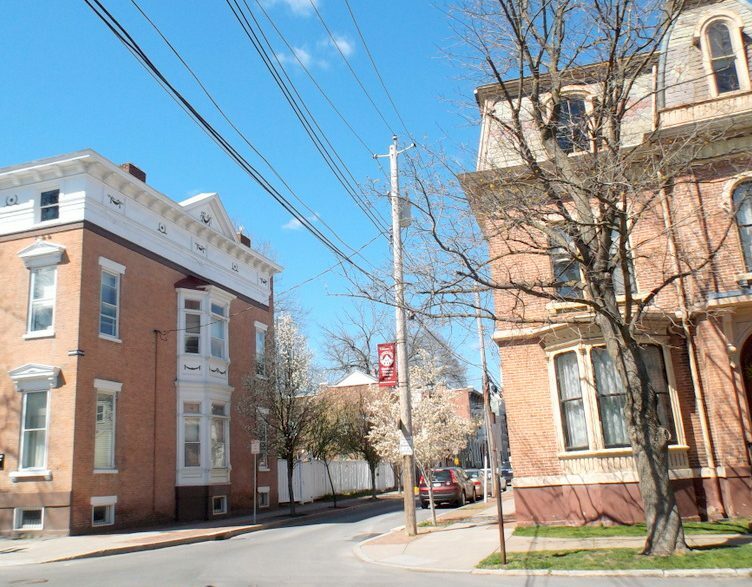 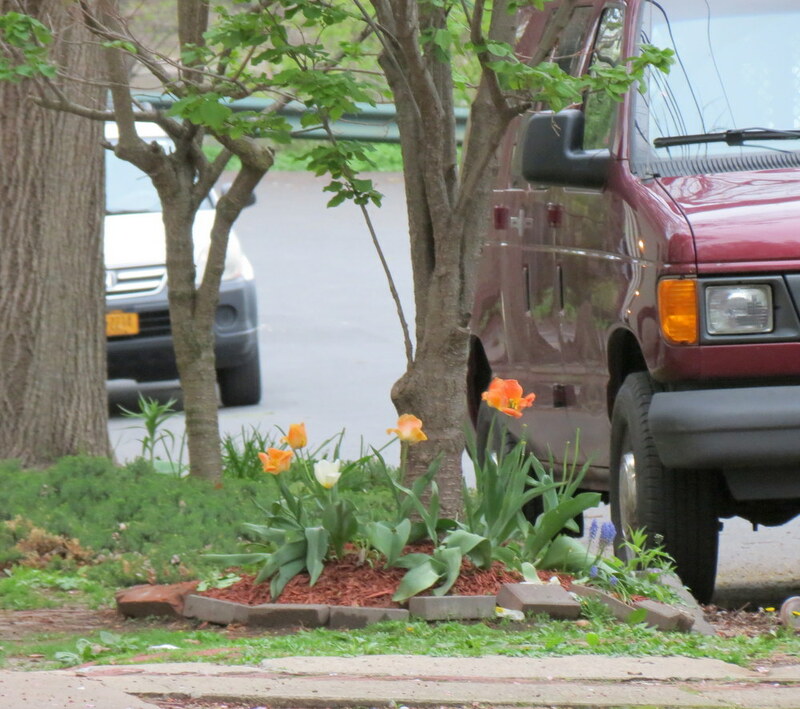 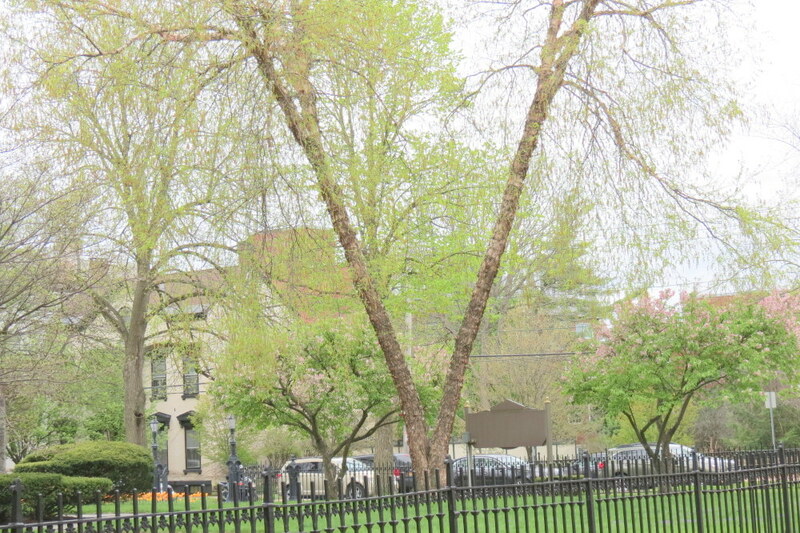 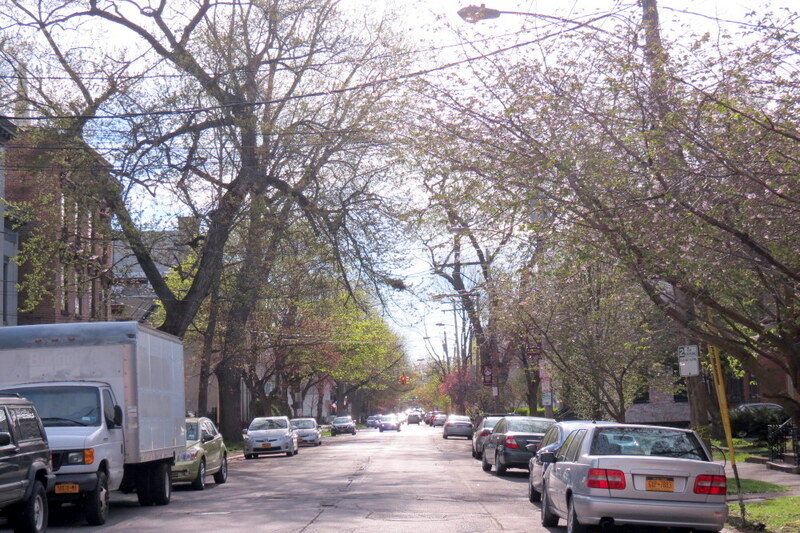 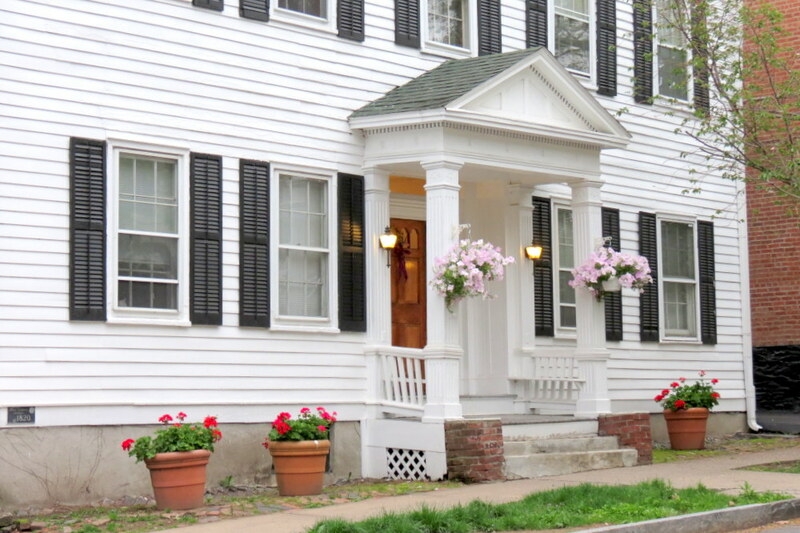 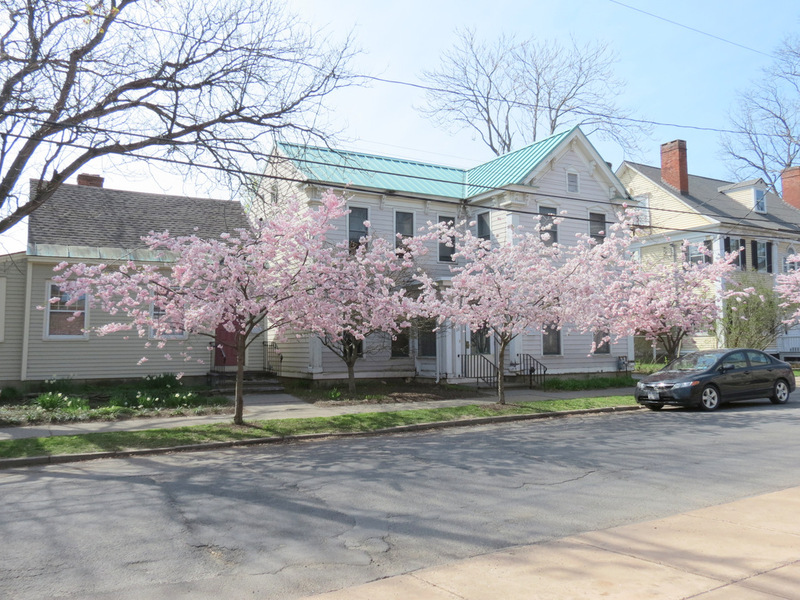 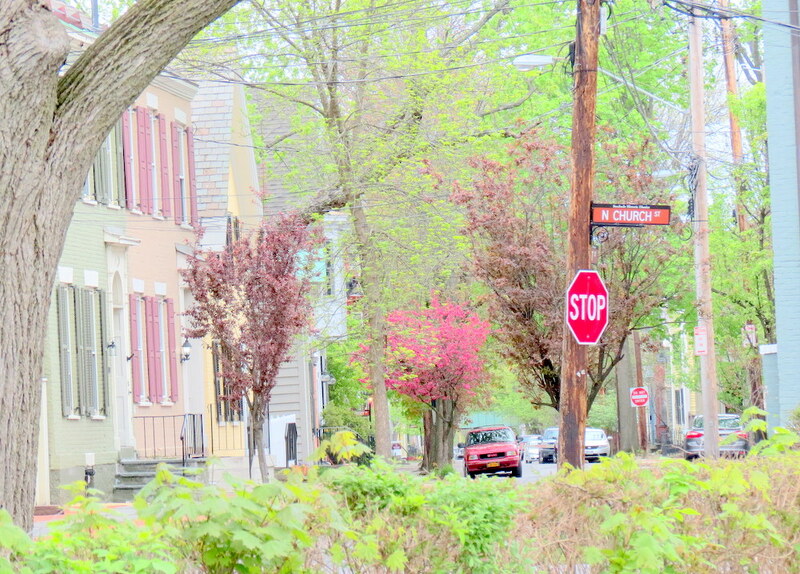 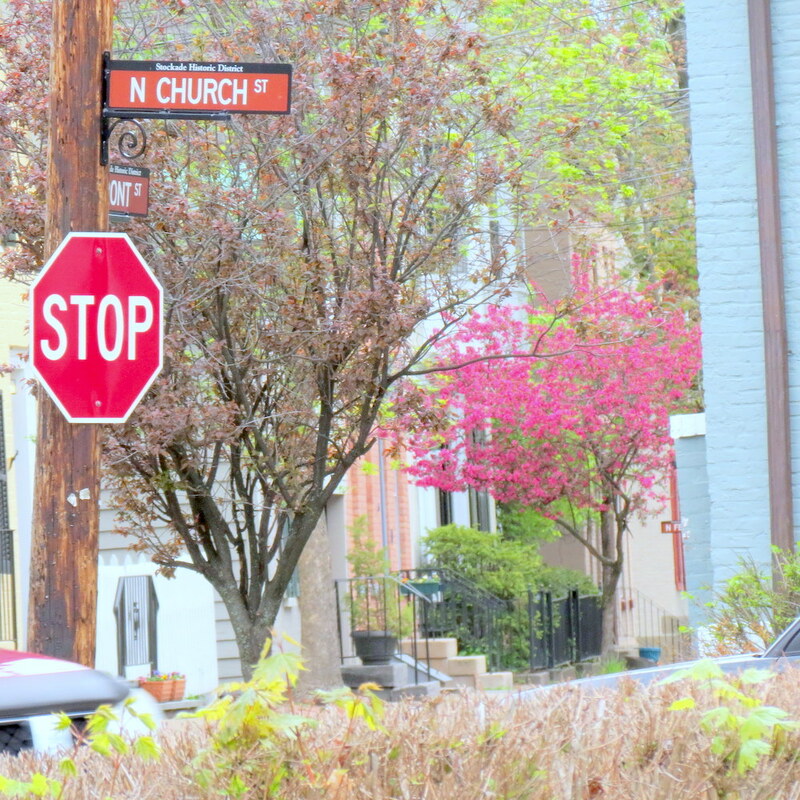 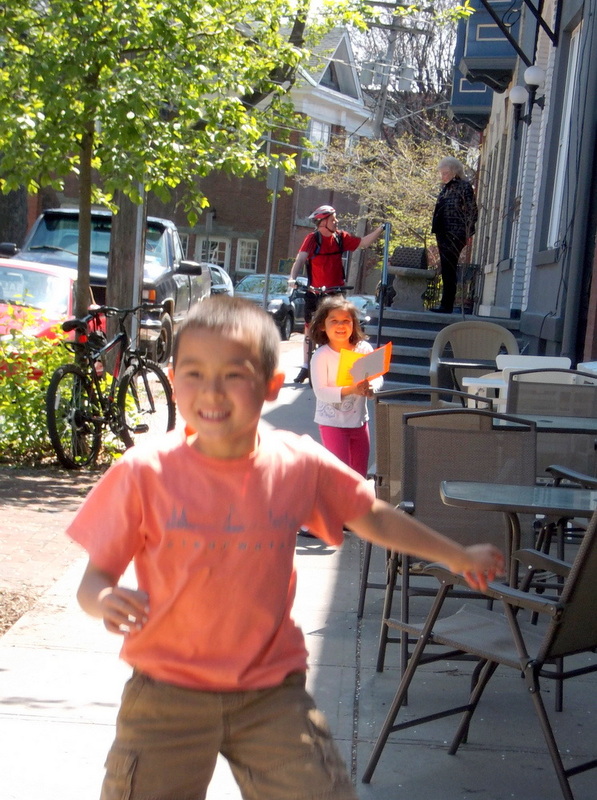 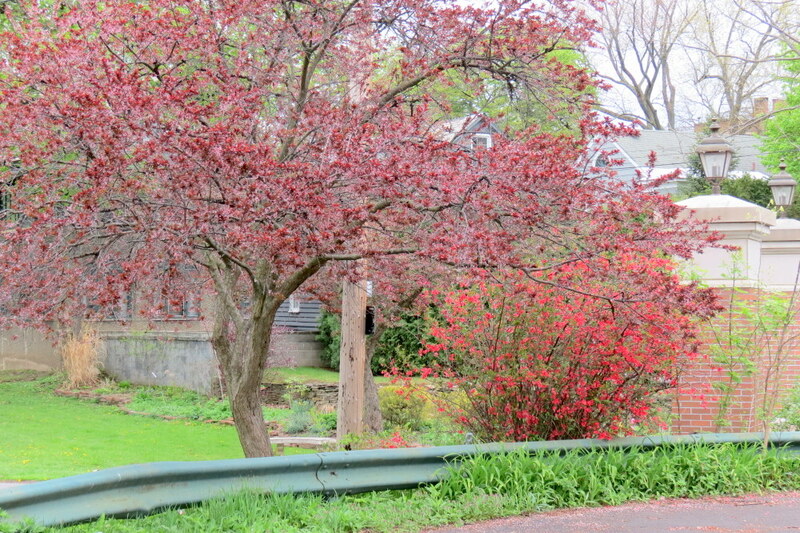 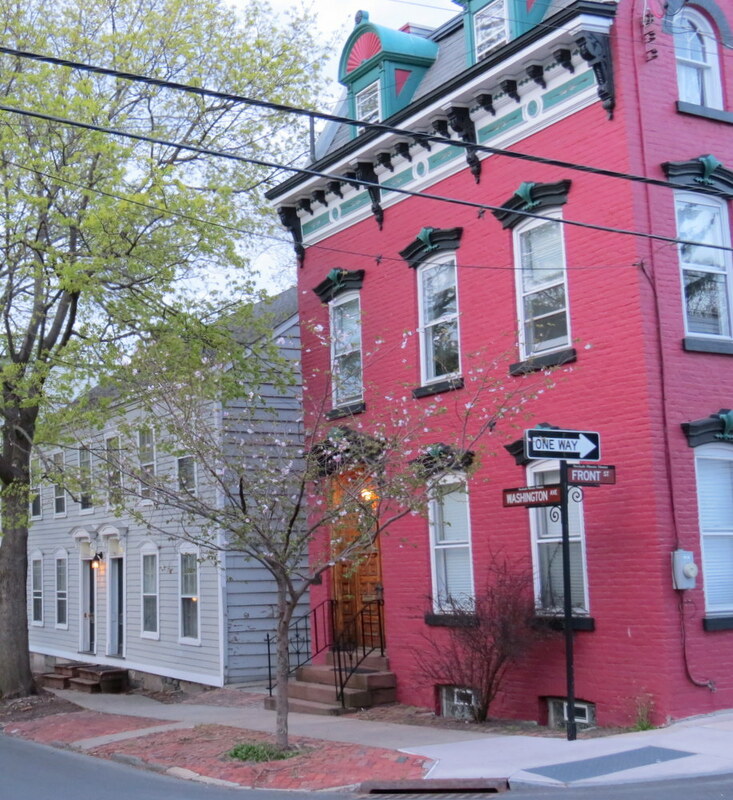 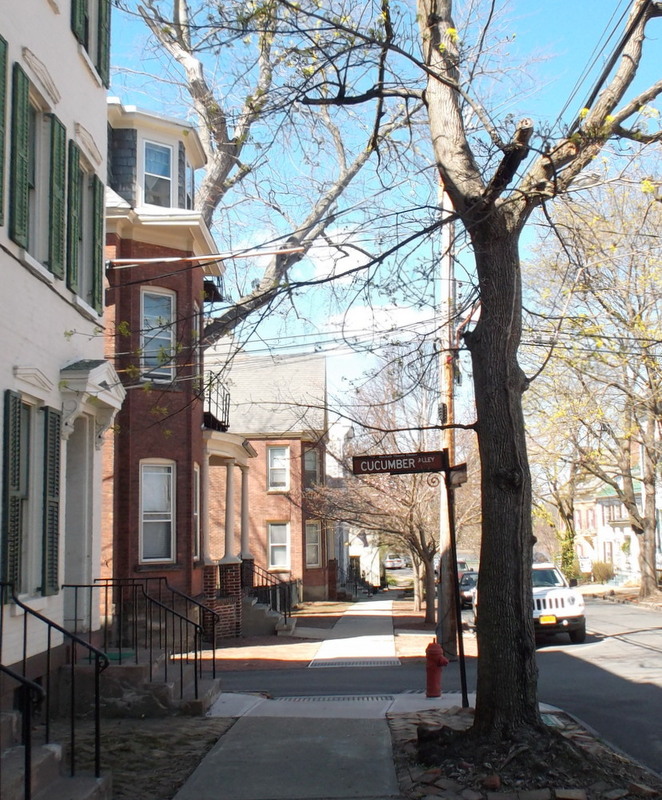 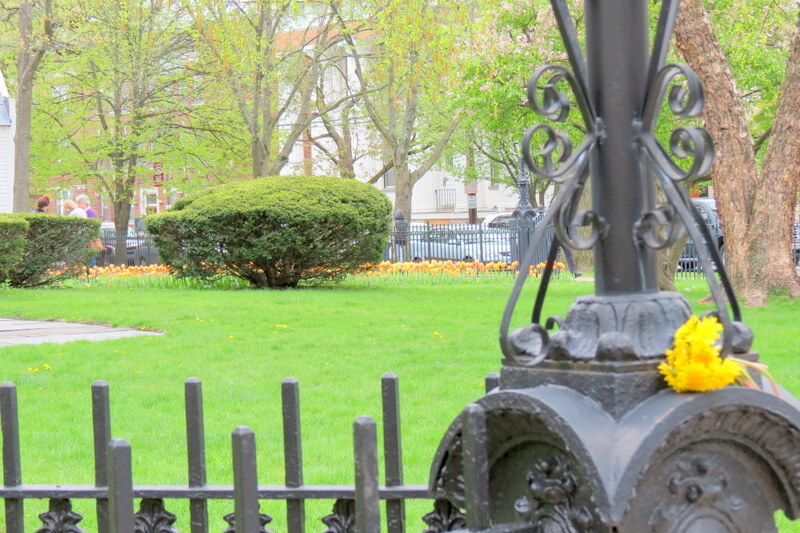 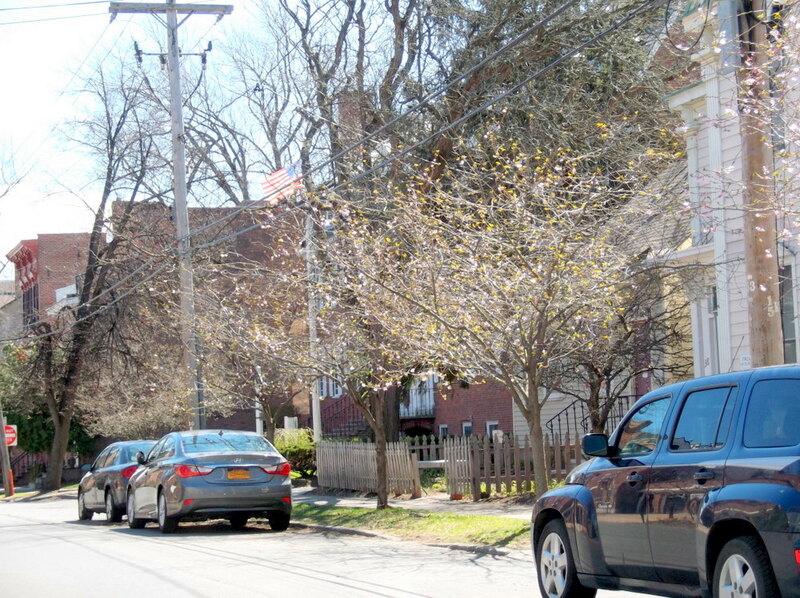 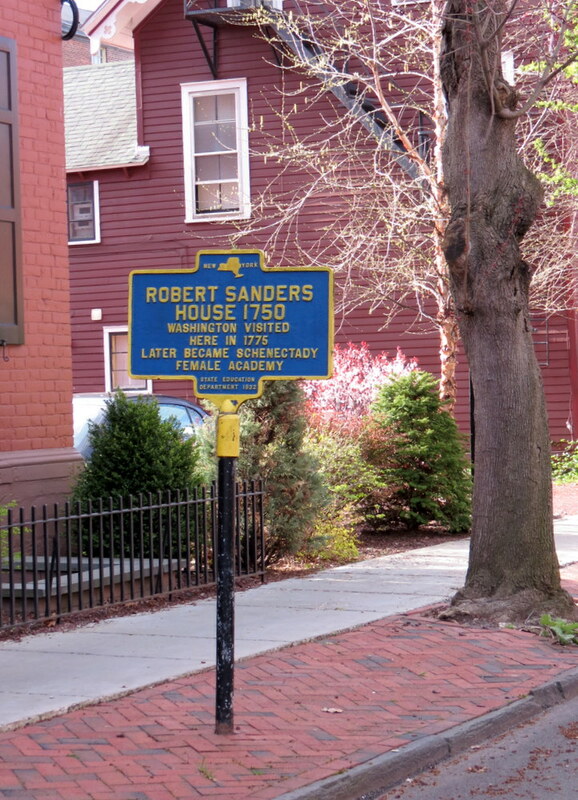 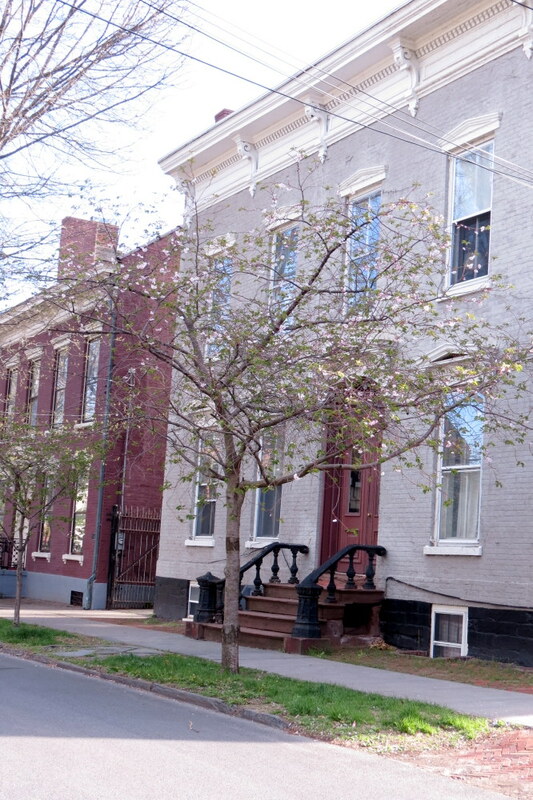 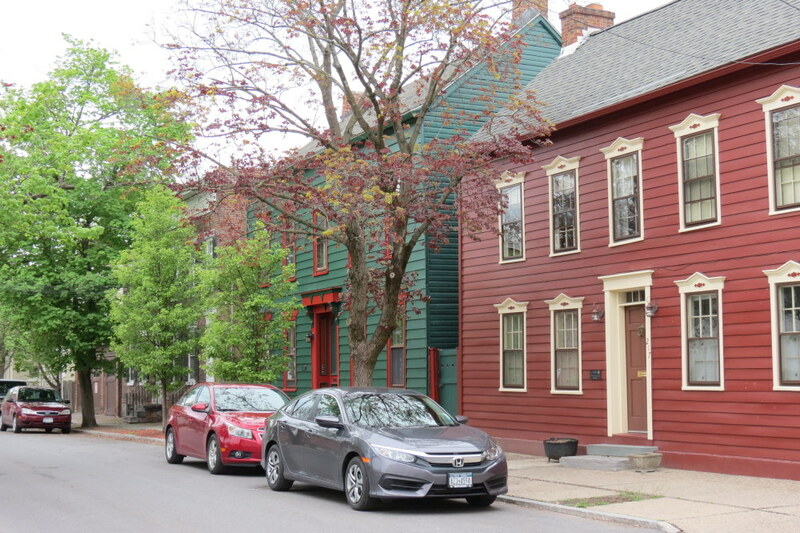 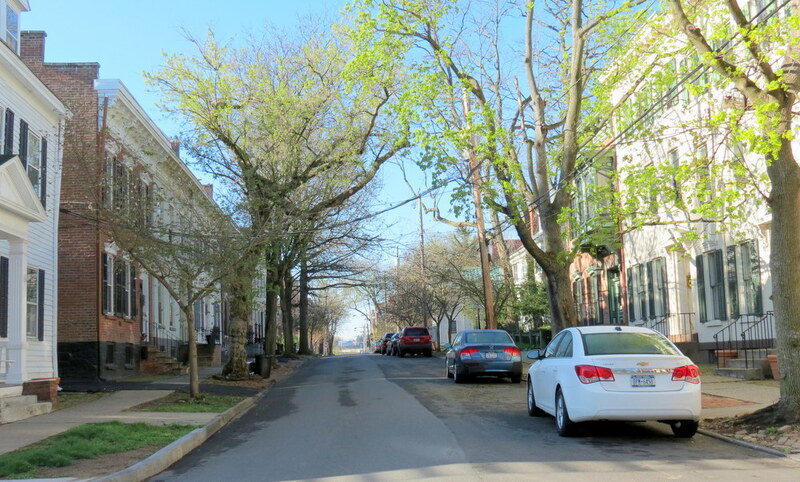 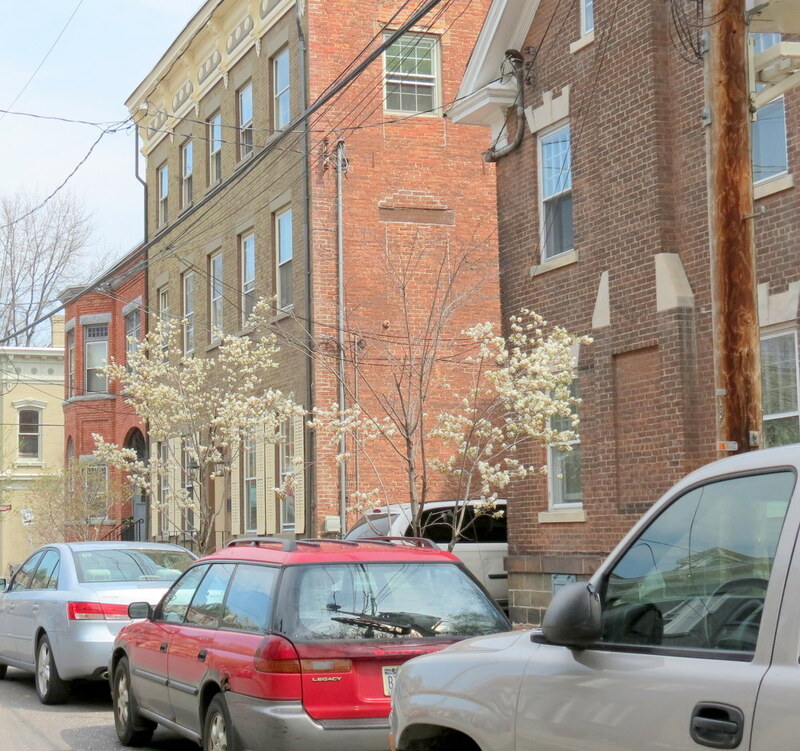 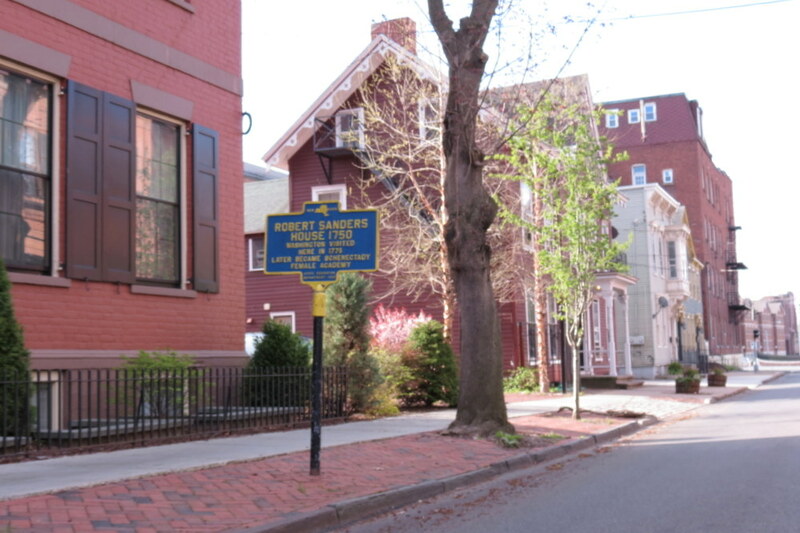 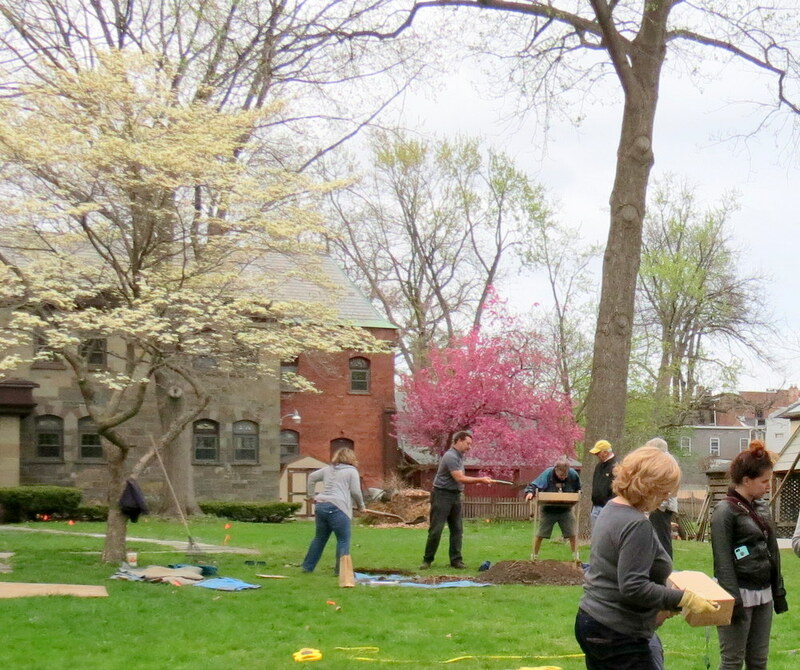 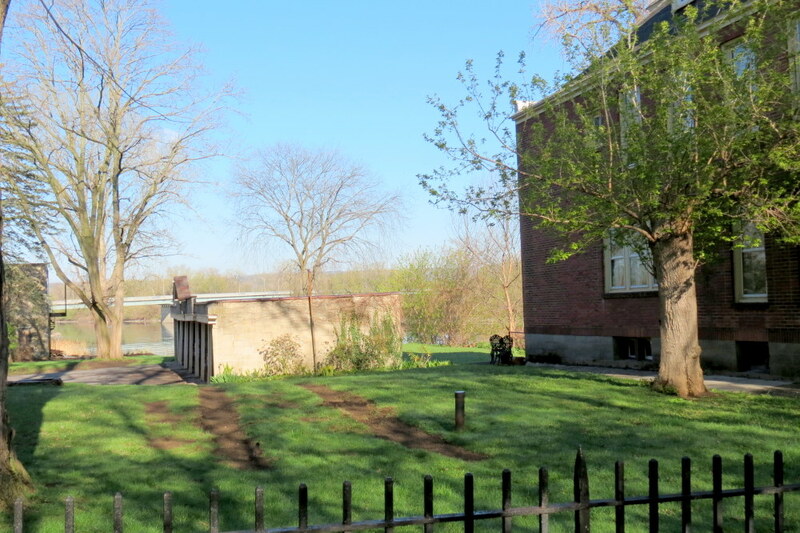 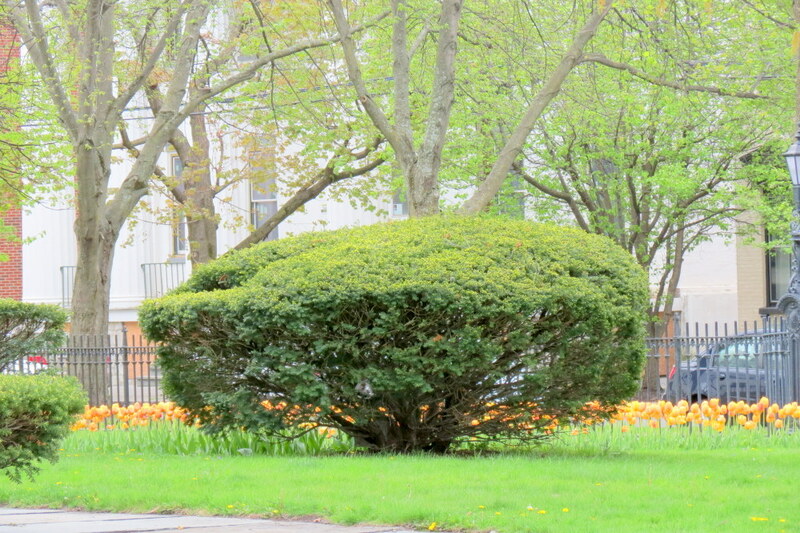 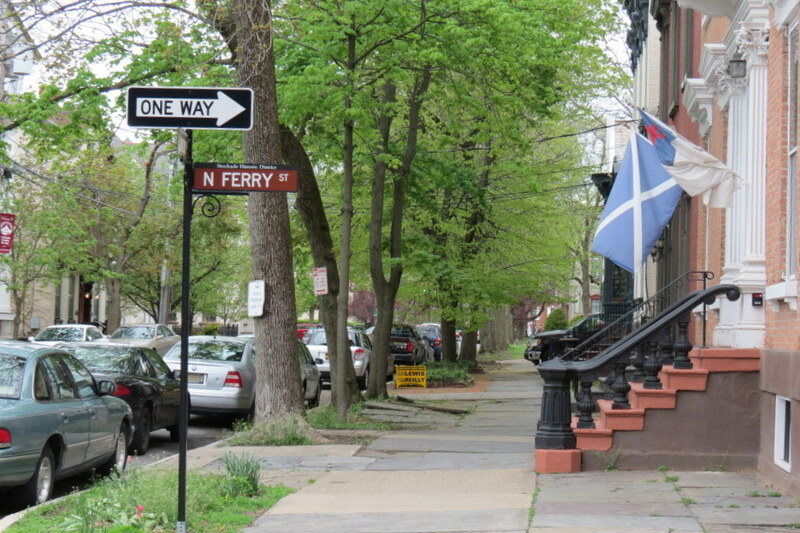 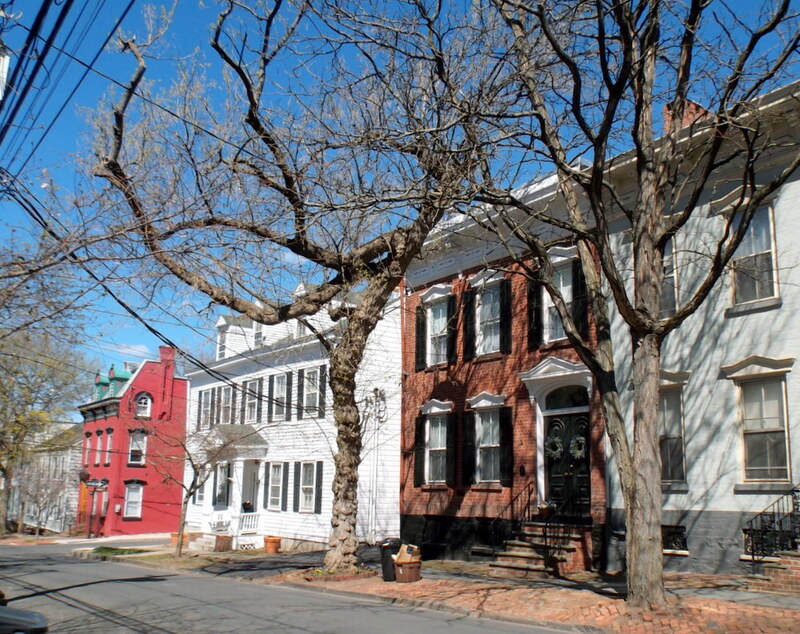 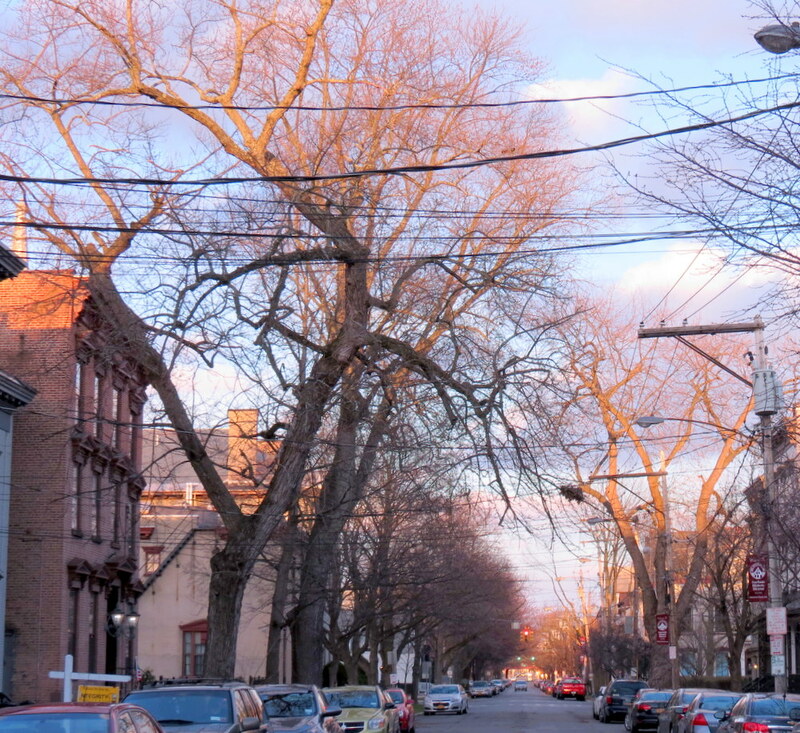 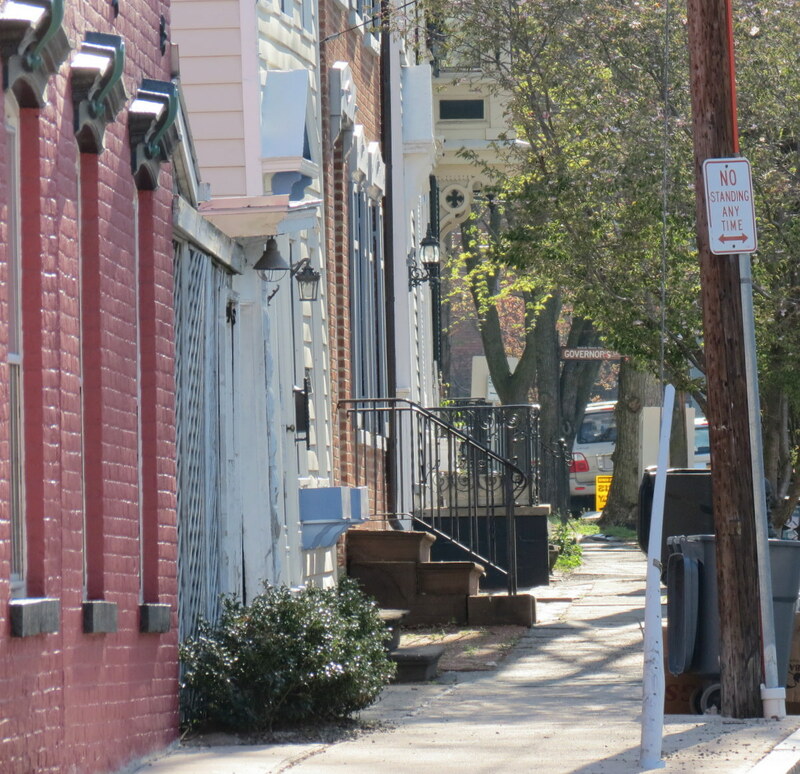 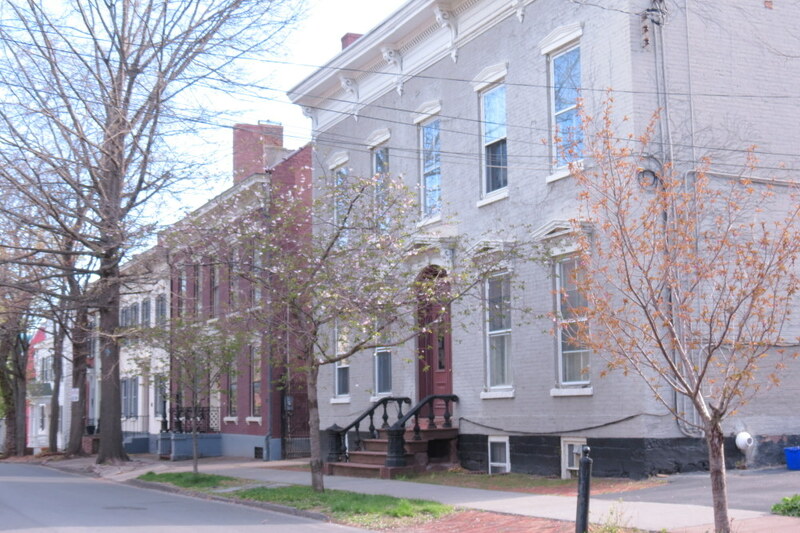 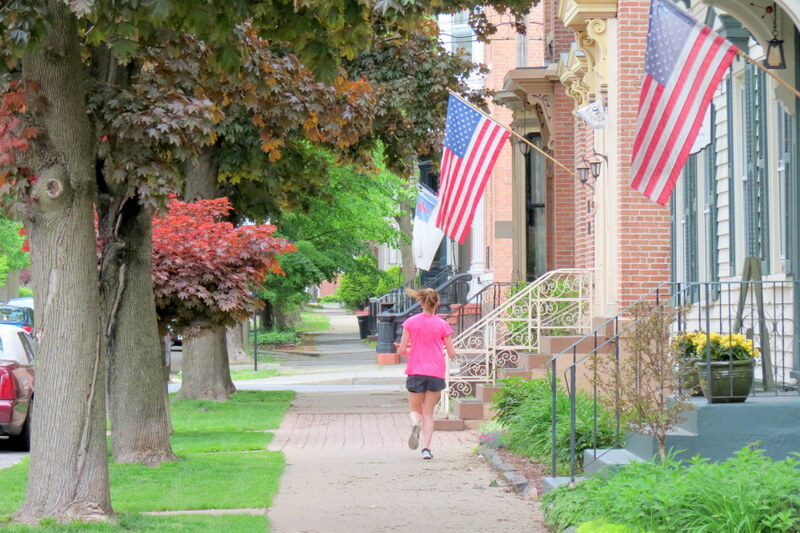 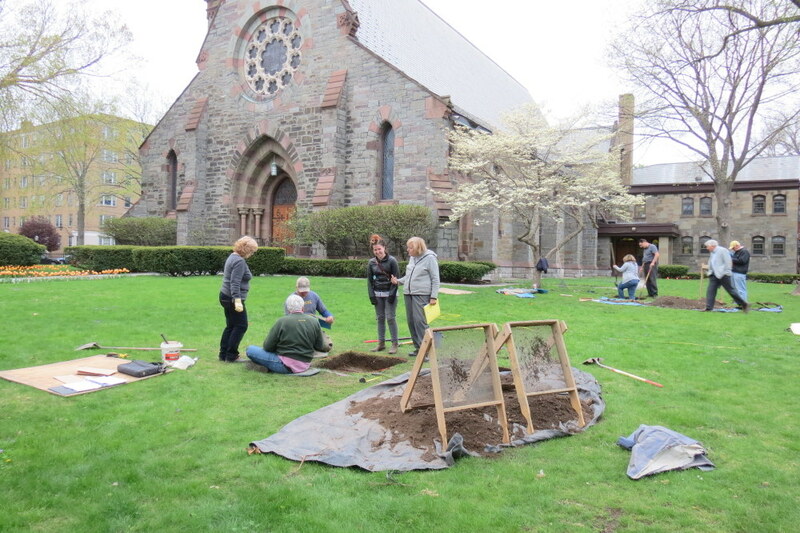 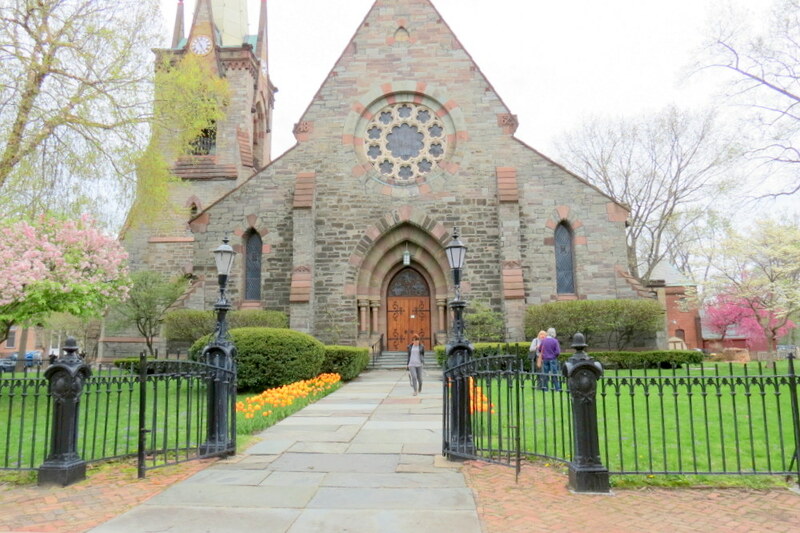 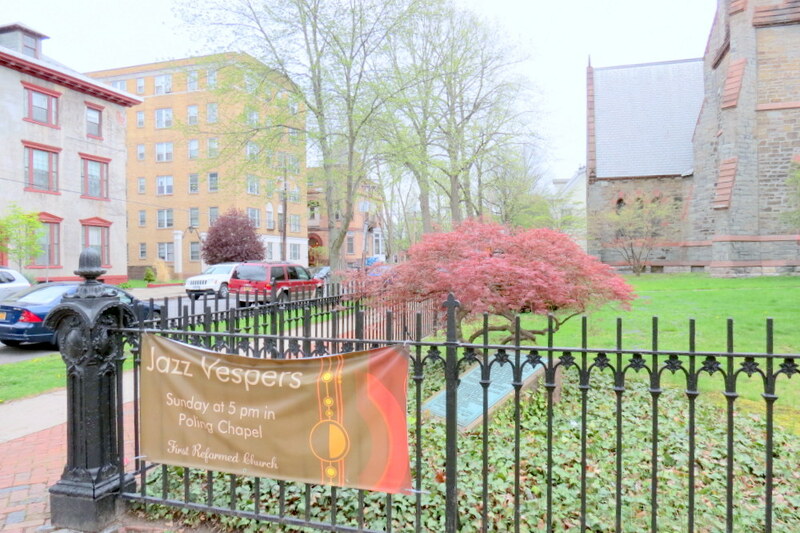 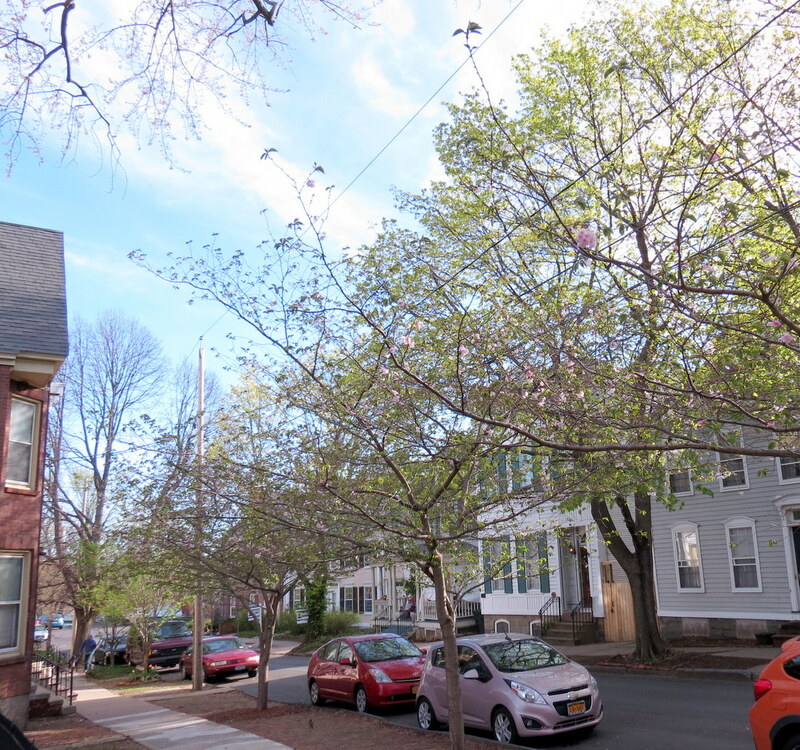 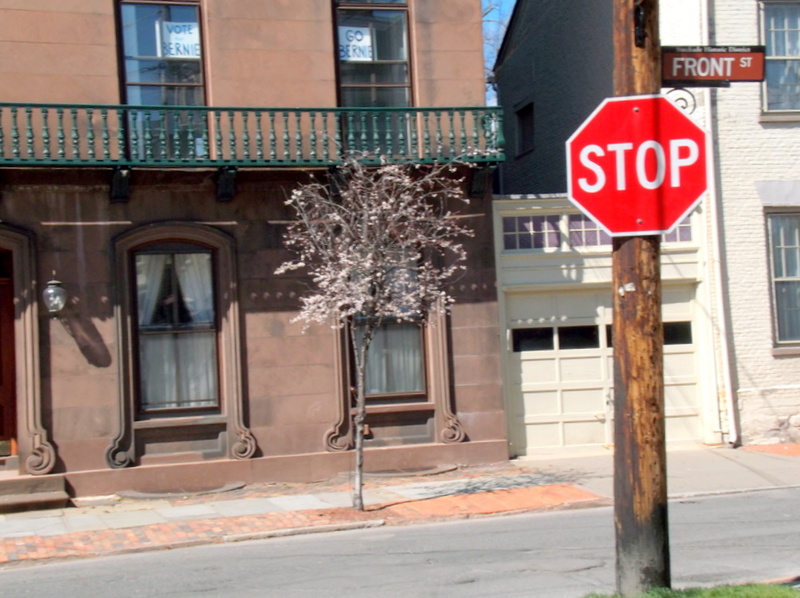 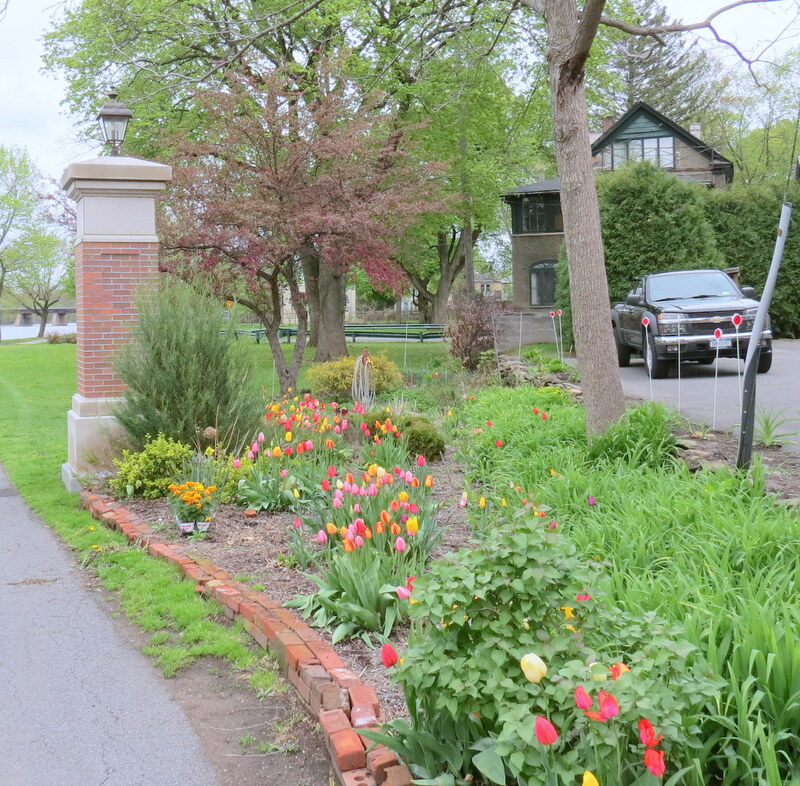 . . while shooting Stockade trees on May 18, I saw this runner on almost every block . .
lawn at 10-16 Wash. Ave.
view south up Washington Ave. at Front St.
front of 8 Washington Ave.
alley at rear of N. Church St.
212 – 222 Union St.
front lawn of 1st Reformed Church, Union and N. Church Sts. 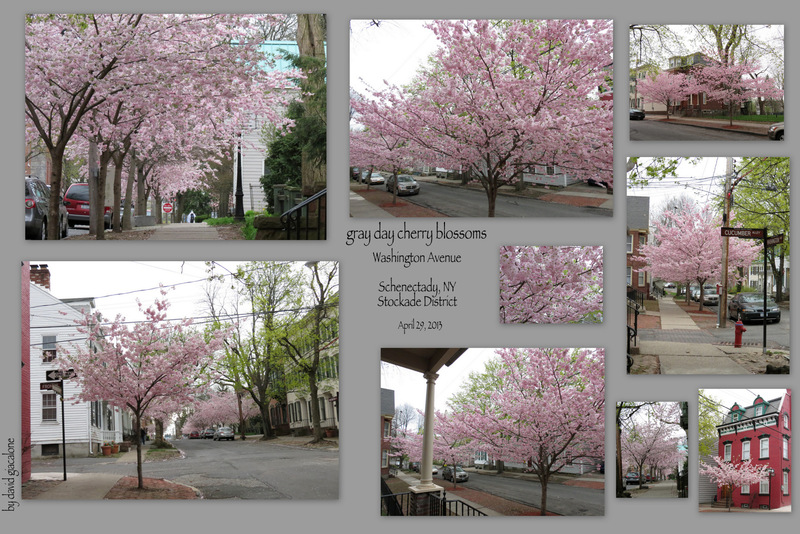 corner of N. Church at Front St.
garage at 10 Wash. Ave.
cherry blossoms at 10 – 16 Wash. Ave.
view out front door of 16 Washington Ave.
early morning on lower Front St.
pale blossoms in front of 15 Washington Ave.
new Campbell Row plaque on 19 Washington Ave.
box elder at 19 Wash. Ave.
N. Ferry at Union St.